We are so proud of the children in Year 5 who performed Resurrection Rocks absolutely brilliantly in the church this morning. Thank you to all of the parents who came along to watch this spectacle. It was incredibly uplifting. What a positive message and perfect way to commence the Easter break. 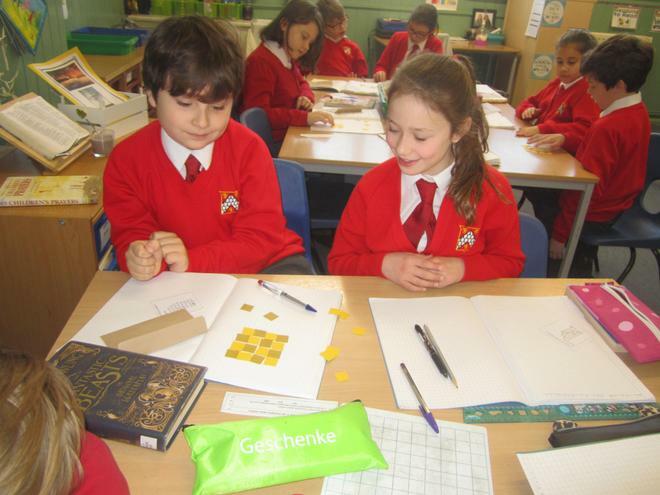 Next term, the children will be working on decimals, properties of shapes, geometry and converting measurements. Please encourage your children to learn their times tables at home using ‘Times Tables Rockstars’. 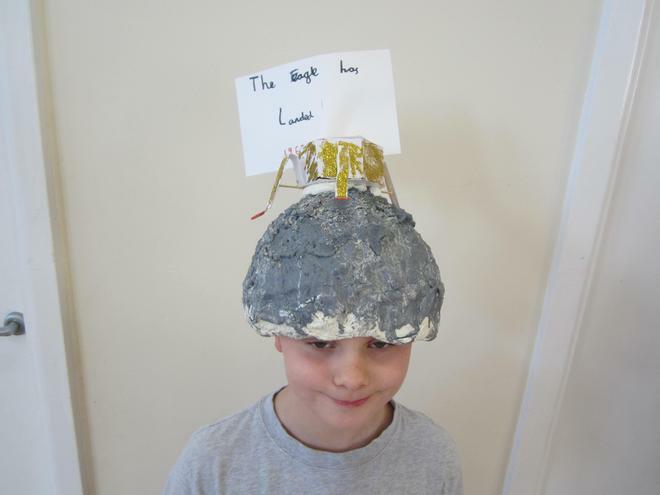 This week, the children thoroughly enjoyed looking at some crazy creations. 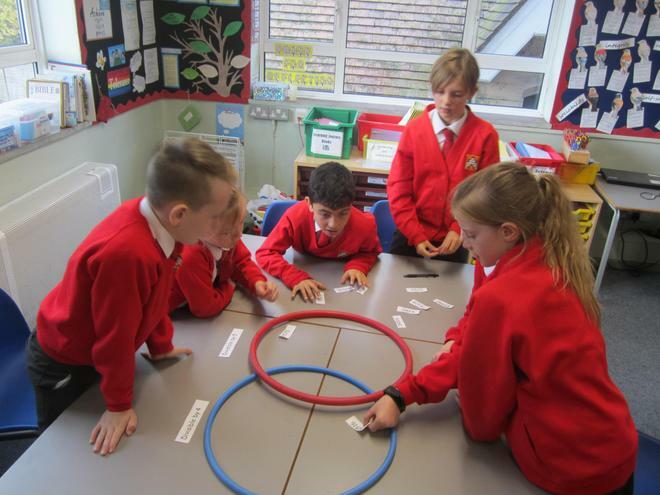 We had a ‘Dragon’s Den’ type activity where the children promoted their inventions and tried to persuade the rest of the class to invest in them. We then looked at some of Wallace and Gromit’s cracking contraptions and discussed these. 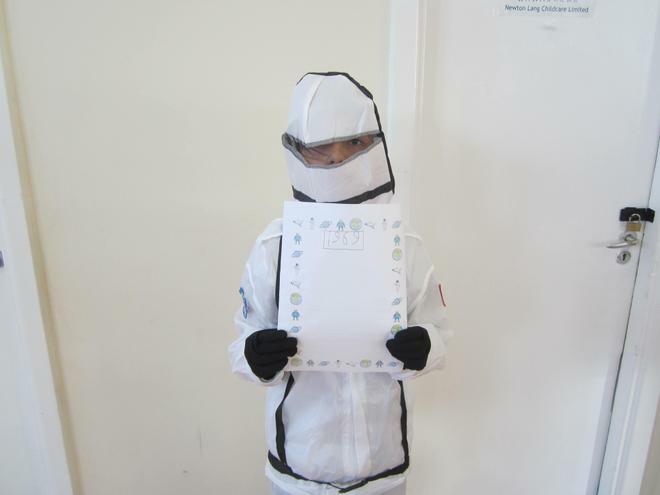 This week in science, the children were learning about vaccinations and the body’s natural defences. They discussed the impact that Edward Jenner’s vaccine had on science. 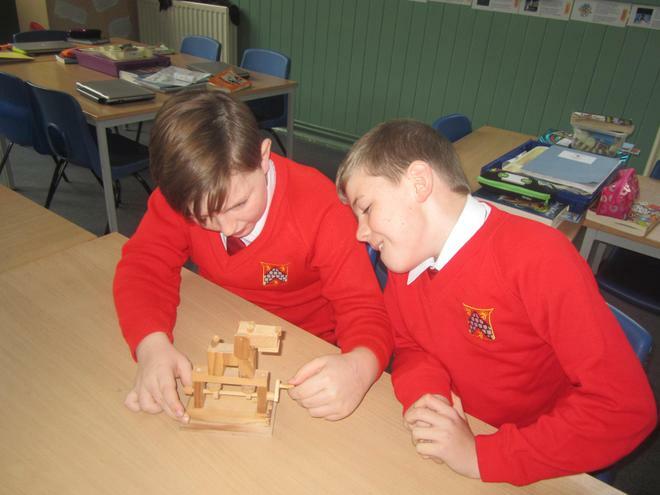 Next term our Science topic will be ‘Forces’. We hope you all have a lovely Easter and the children enjoy a well-deserved rest. 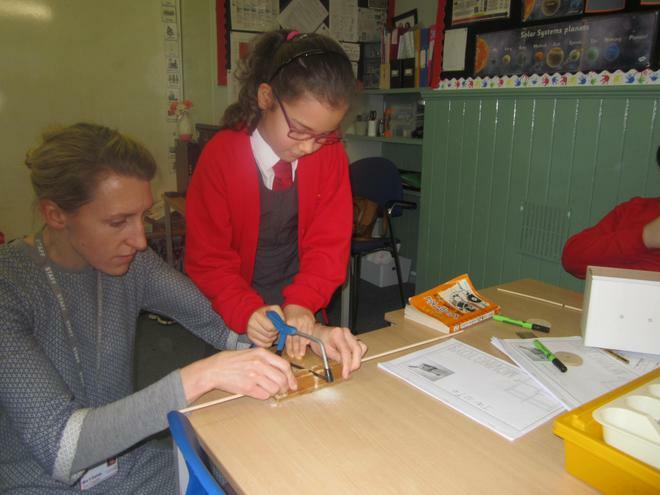 Thank you to all those parents who were able to make it in on Wednesday morning for our book look; it was a great opportunity to see how much progress the children have made over the course of the year. 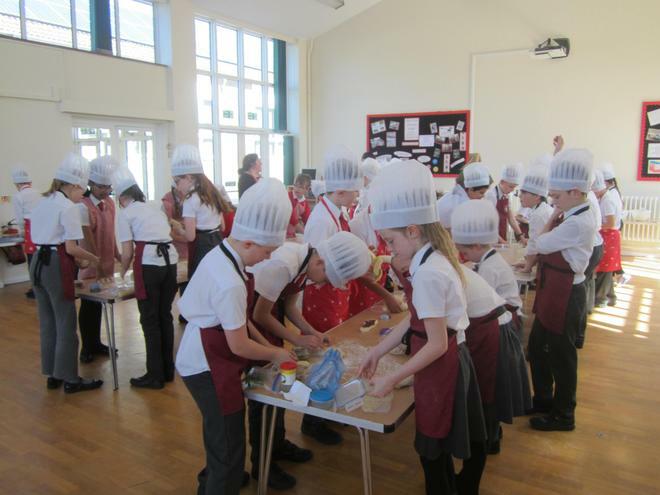 We thoroughly enjoyed creating our loaves of bread on Tuesday. 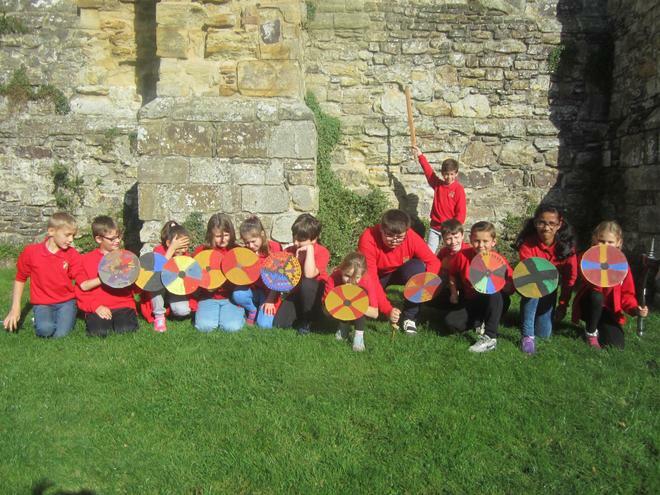 The children had some creative ideas and thankfully, they all seemed to turn out well. We hope that they tasted as good as they looked and smelled. 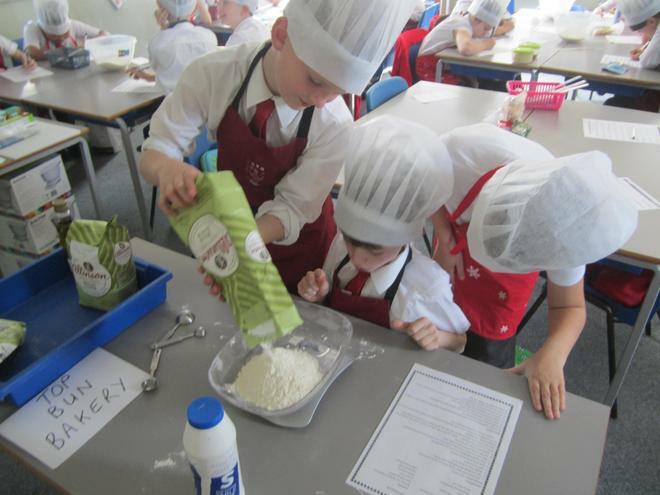 Following on from Tuesday’s ‘bake off’, the children wrote a set of instructions to explain how they made their bread. They used time words and imperative verbs to make their recipe easy to follow. Perhaps over the weekend, you could see if your child can remember this recipe in order to make a different type of bread at home. 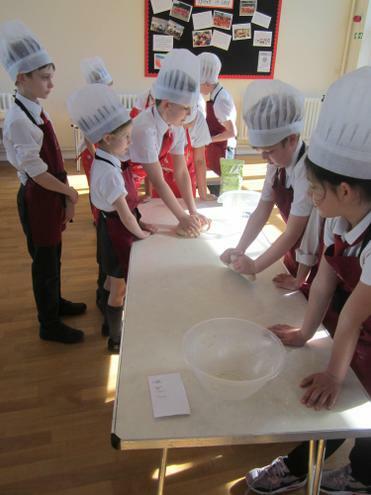 In Literacy, the children have been carrying out research in order to understand the process of bread making. We have watched informative videos and read texts which the children have taken notes from. Next week, the children will be using these notes to write their own explanation text about how yeast, gluten, kneading and proving all work together to produce bread. 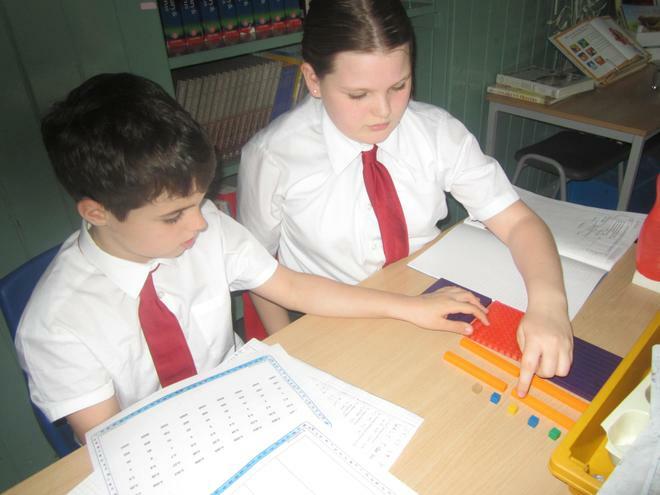 This week, the children have been rounding decimals to nearest whole number and the nearest tenth. 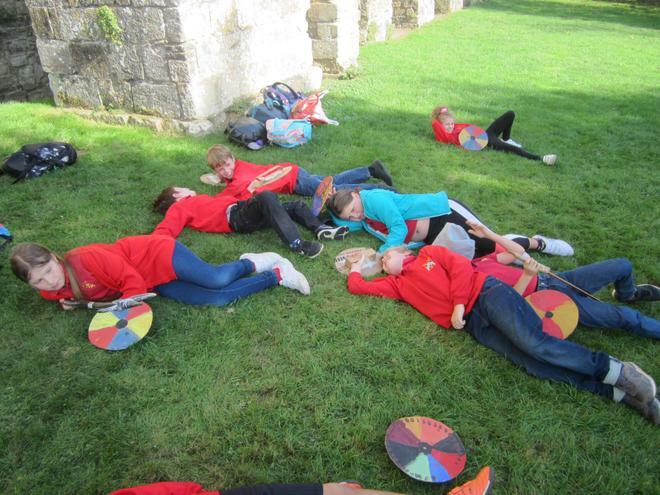 Please ask the children to demonstrate how they have been doing this. At home, you could get your child to use rounding in order to tell you the price of something to the nearest pound. Next week, we will move onto looking at percentages and how these are related to decimals and fractions. 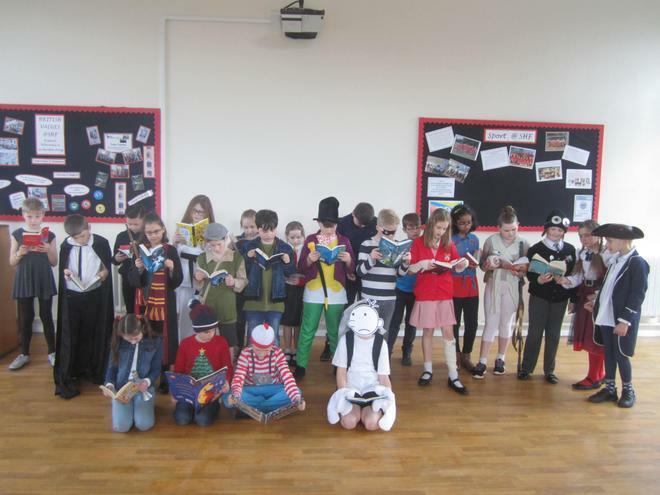 Friday 5th April – Resurrection Rocks (If your child is one of the readers, please can you encourage them to rehearse at home). This week, we started our new topic of decimals. The children identified where we use decimals in our everyday lives. 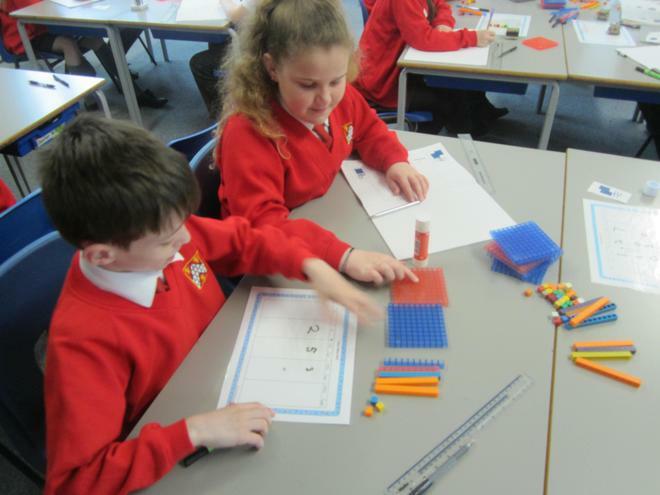 They used dienes to make decimal representations. Along with their place value charts, this helped the children to develop a concrete understanding of decimals and their place value. Next week, we will move onto rounding and ordering decimals. 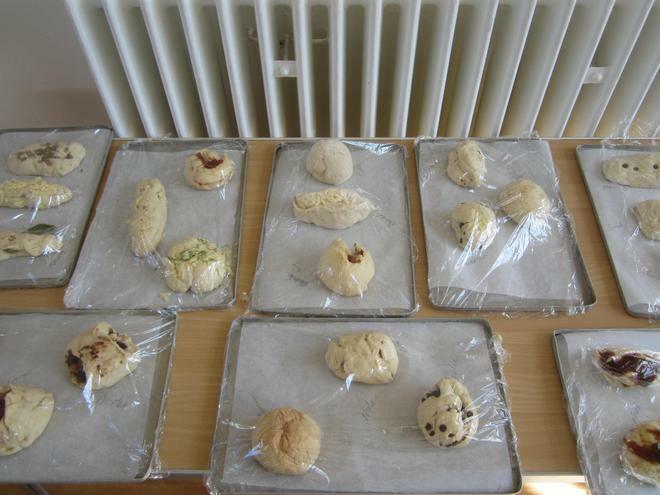 This week, the children designed the type of bread they would like to make next week. 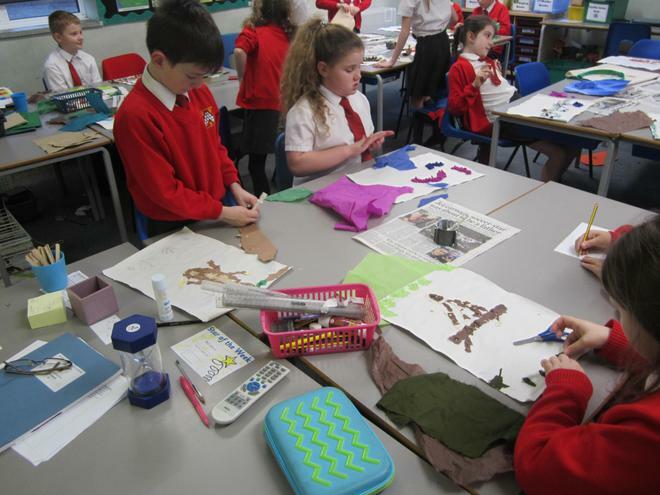 The children enjoyed coming up with many creative ideas. We look forward to seeing how they turn out on Tuesday. 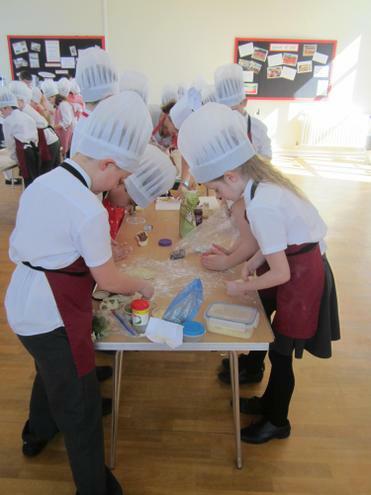 Please can ensure that the children bring in any additional ingredients that they would like to use on Tuesday. 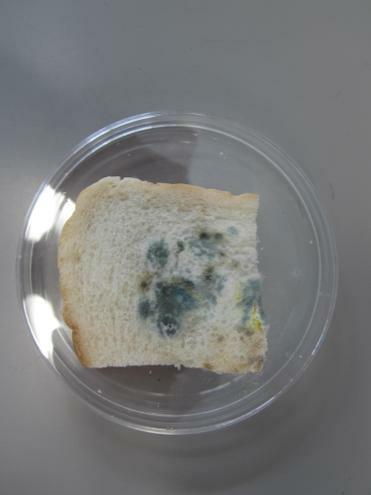 This week in science, the children observed what had happened to their bread samples. Please ask your children to explain any observations they may have made. Perhaps they could set up their own experiment at home. 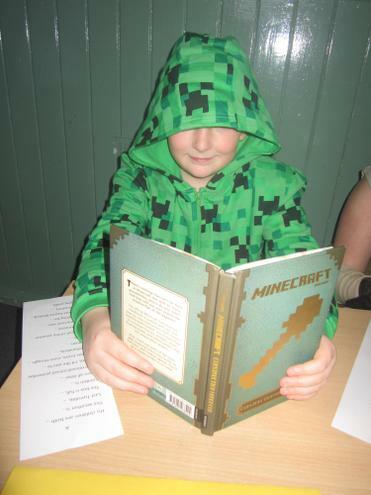 Wednesday 27th March – parent book look. Friday 5th April – Resurrection Rocks (please can you encourage the children to look through their words at home). This week in literacy, we have been using ‘A Matter of Loaf and Death’ to add suspense to our writing. 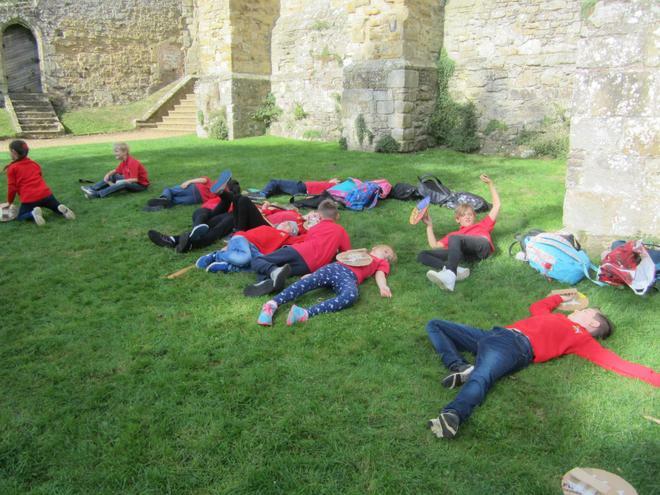 The children have written their own ending to the film using: cliff hangers, twists and mystery. Next week, the children will be using all of the elements that they have learned about suspense writing and applying it to their ‘hot task’. They will also be completing a reading comprehension. Please encourage your child to read at home every night and fill in their reading diary. 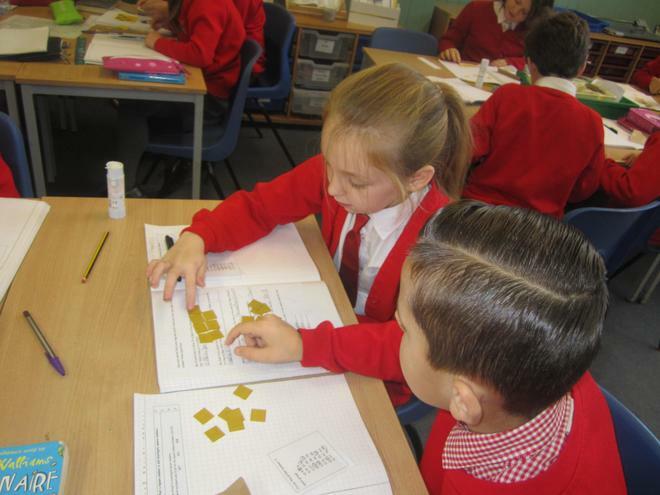 This week, the children have been multiplying fractions and finding fractions of amounts. 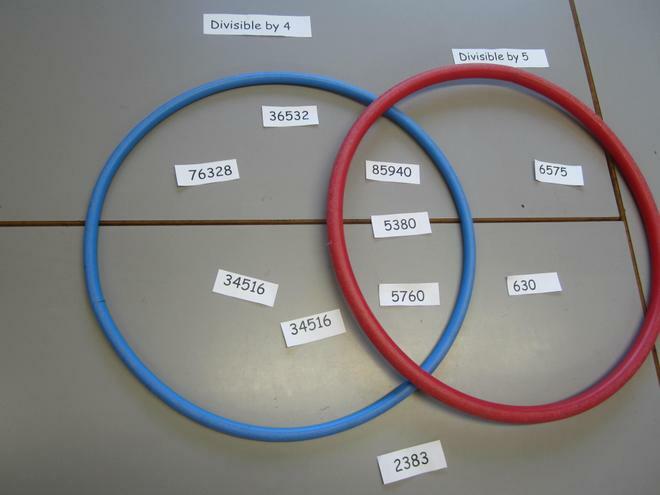 Please encourage the children to explain how they have done this to check their understanding. 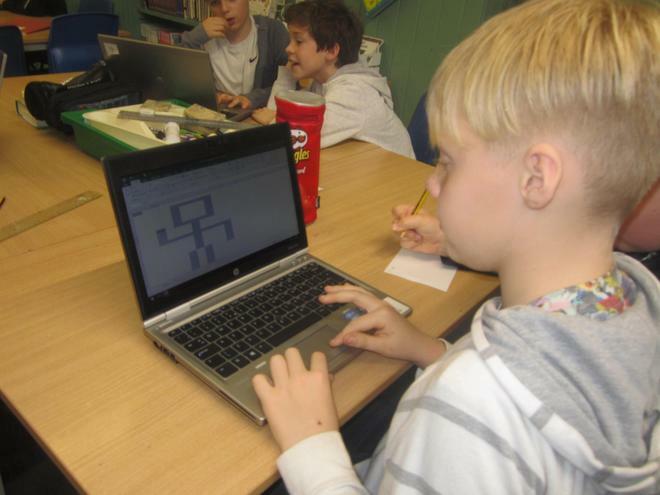 We have been really impressed with the number of children who are using Times Tables Rockstars at home. Next week, we will move onto our new topic of decimals and relating this to the learning that we have done on fractions. 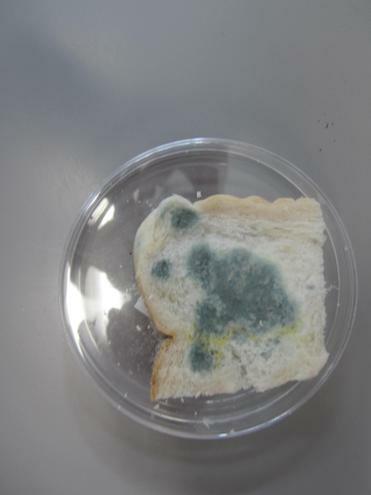 This week in science, the children thoroughly enjoyed setting up different bread samples to investigate ‘what affects the growth of mould on bread’. 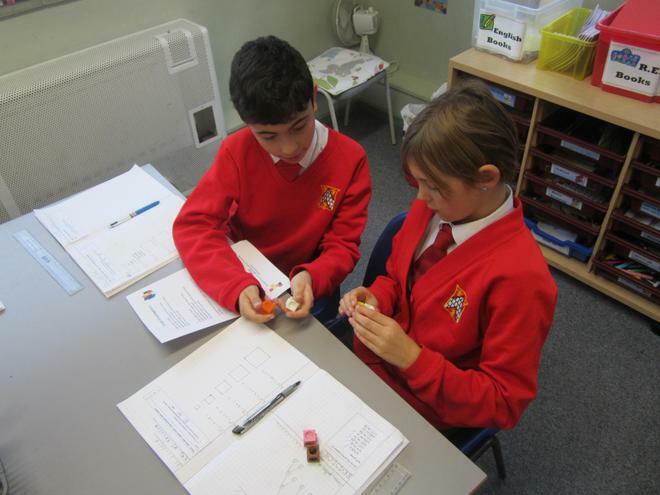 Next week, the children will make observations to discover what has happened to each bread sample during the week. Don’t worry, we will not be doing a taste test! 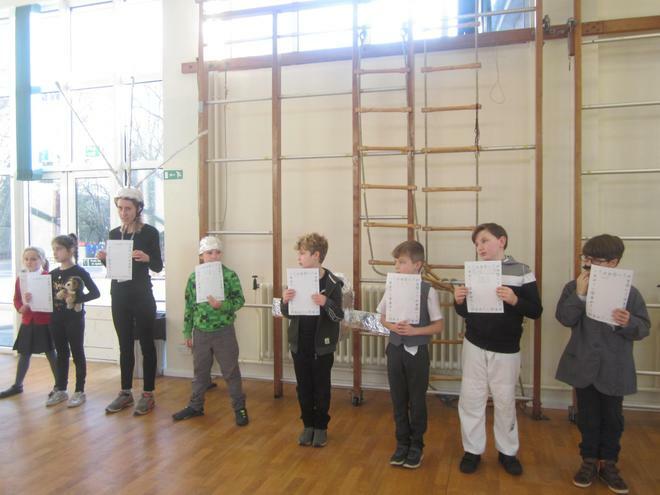 It was lovely to meet lots of you this week at our parents’ consultations; we are very proud of the amount of work that the children do in Year 5 and the progress that many of them are making. 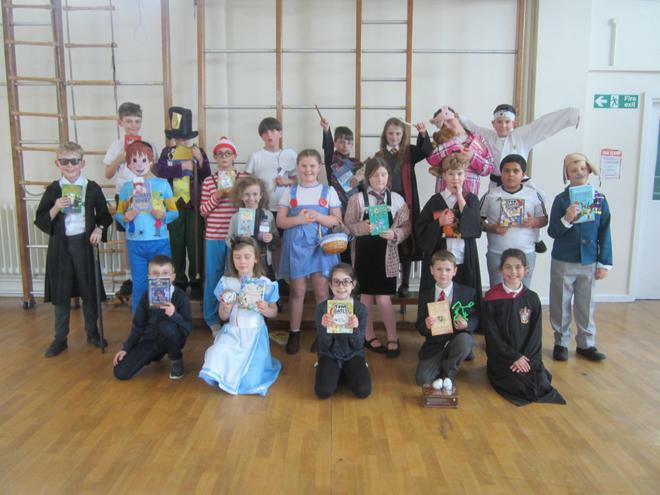 Thank you for making a big effort for World Book Day; there were some fantastic costumes across the whole of Year 5. 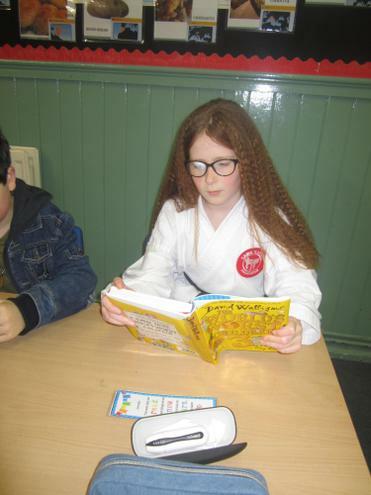 The children enjoyed the drop and read bell and it was lovely to see such a wide range of books being read. This week in literacy, we have been continuing our suspense writing. The children have written their own, more exciting, version of ‘The Wild Things’. Through the use of short snappy sentences, similes and ellipsis, the children were able to portray suspense in their writing. Next week, we will continue with our work on ‘A Matter of Loaf and Death’. We will be using the visuals from Wallace and Gromit to create an effective piece of suspense writing. 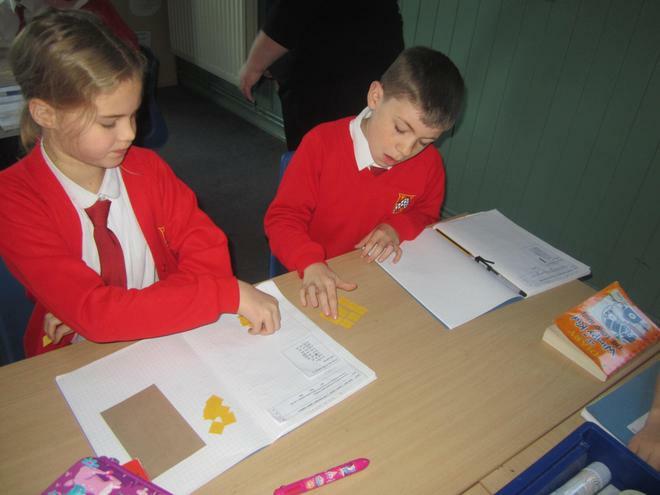 This week, the children have continued to work hard on fractions. We were adding and subtracting mixed numbers and discussing different strategies that we could use to do this. Next week, we will be multiplying fractions and finding fractions of amounts. 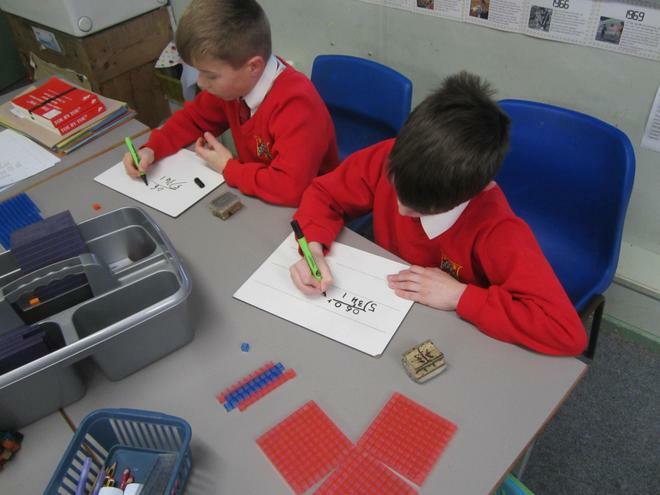 In order to do this quickly and effectively, it is important that the children have a good recall of their times tables and the corresponding division facts. Please could you encourage your children to learn their times tables at home. 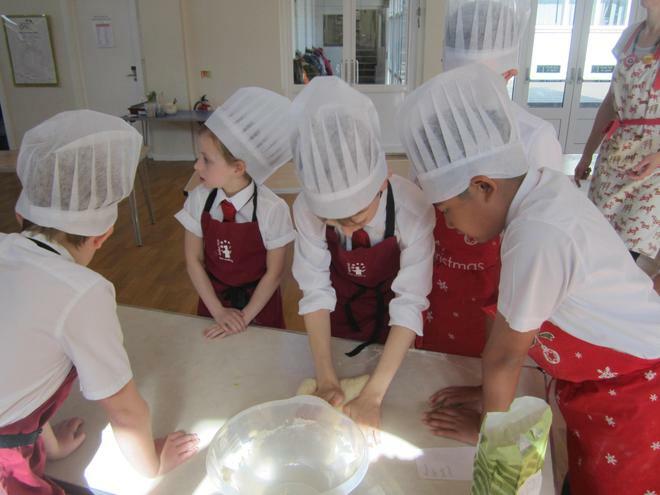 This week in our learning journey, the children have been researching the history of bread. Next week, they are going to create an informative poster about the history of bread. Any additional research that they can carry out at home would be fantastic. 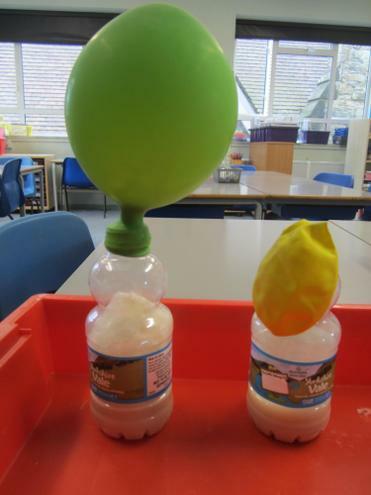 This week in science, the children enjoyed carry out an investigation involving yeast races and balloons! They were trying to find out what happens when yeast is given sugar and warmth. They discovered that the yeast came alive and enjoyed watching the effect of this (please look at the photos to see for yourself). 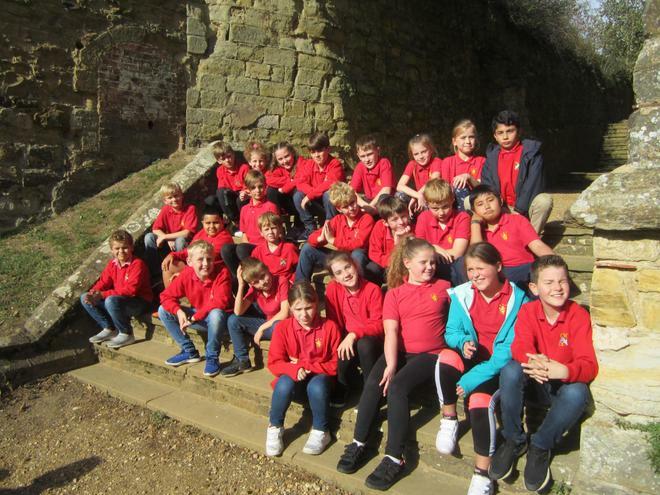 It is hard to believe that we have only been back a week; we have managed to cram a lot into five days and the children have all worked incredibly hard. The children have thoroughly enjoyed watching the opening scene to ‘A Matter of Loaf and Death’. 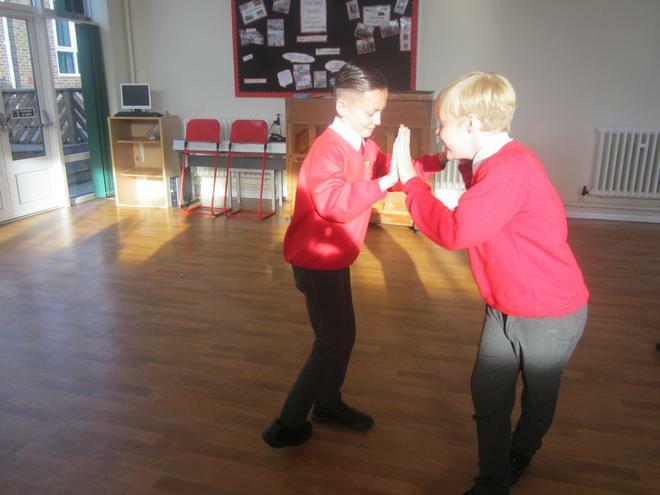 After carrying out our Talk for Writing, the children used powerful sentence openers and elements to build up suspense when describing this scene. 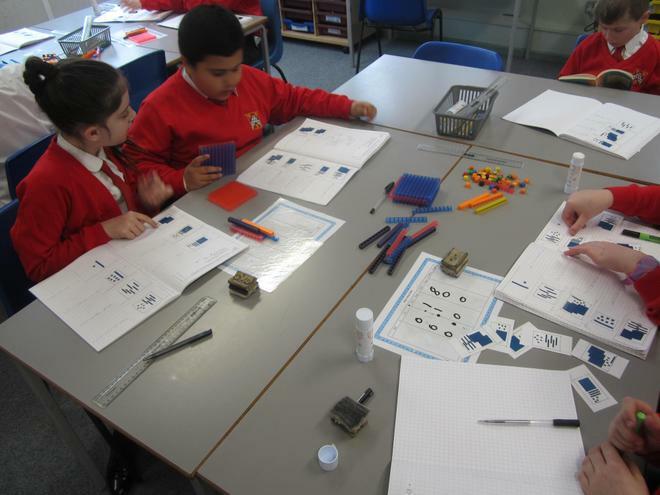 This week, the children have worked incredibly hard in order to add and subtract fractions. Please encourage your children to explain how they have done this to ensure that the learning has been embedded. Next week, we will build on these strategies in order to add and subtract mixed numbers. 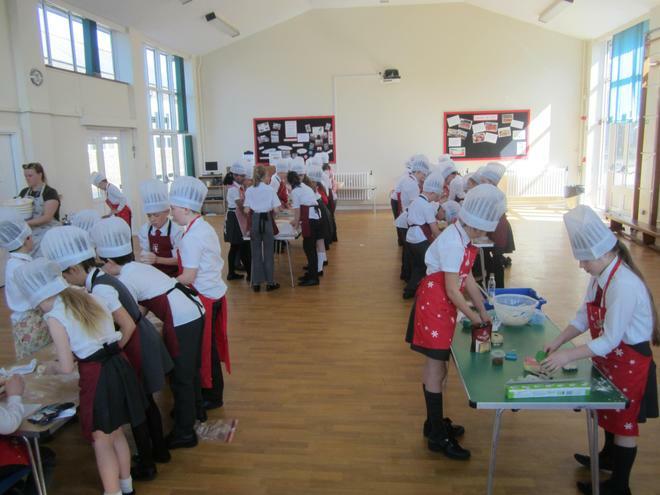 The children were treated to a bread tasting session on Thursday afternoon. 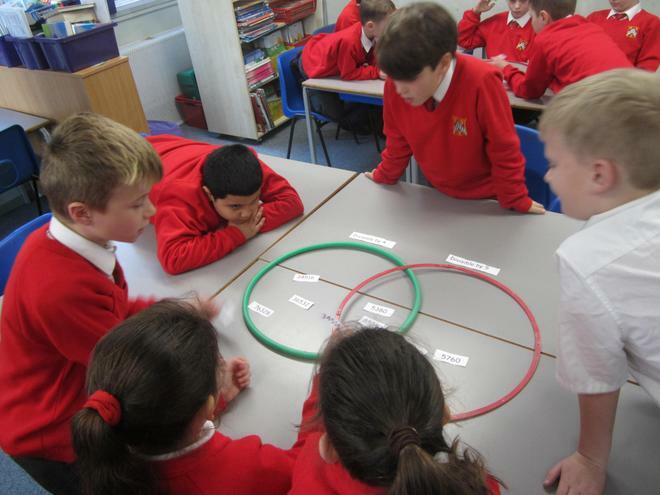 We discussed different types of bread and located where they came from on a world map. 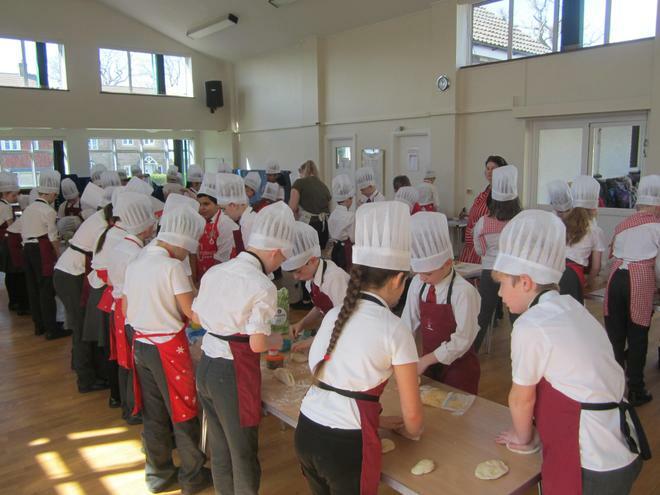 The children enjoyed sampling a range of breads; describing the texture, look and taste. Tuesday 5th March – Parent consultations. Thursday 7th March – Parent consultations. What a brilliant yet busy week we have had for our ‘fabulous finish’. 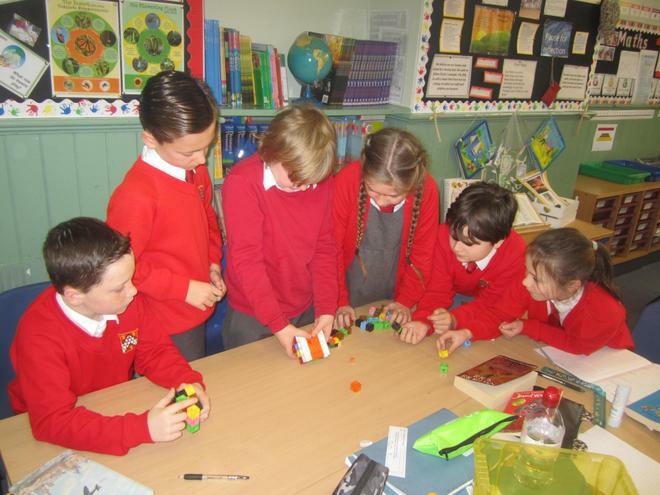 The children thoroughly enjoyed their whole day of Design and Technology and creating the cam toys which they had designed. They are looking great and more importantly nearly all of them are working! 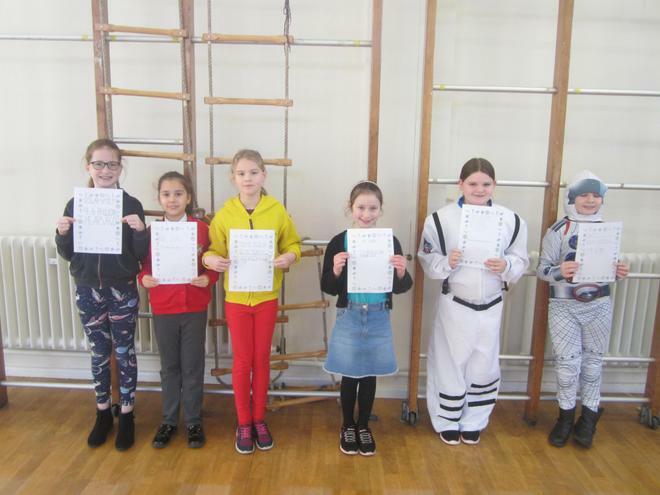 This week in literacy the children completed their ‘hot task’ – writing a fictitious biography about an astronaut visiting their planet. 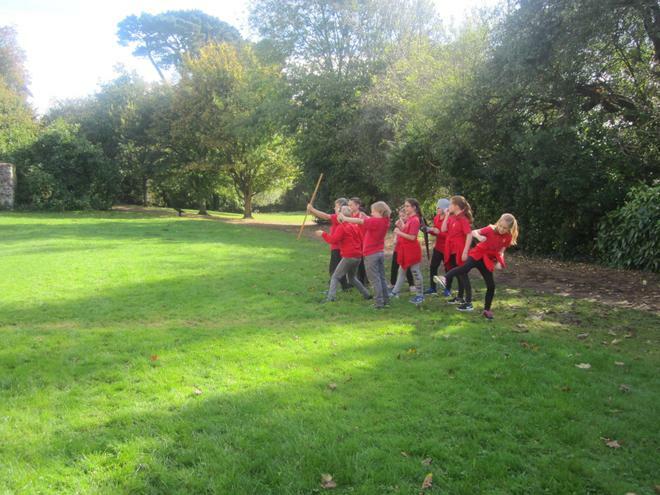 The children applied their learning from this term to ensure that they were fulfilling the Year 5 targets. 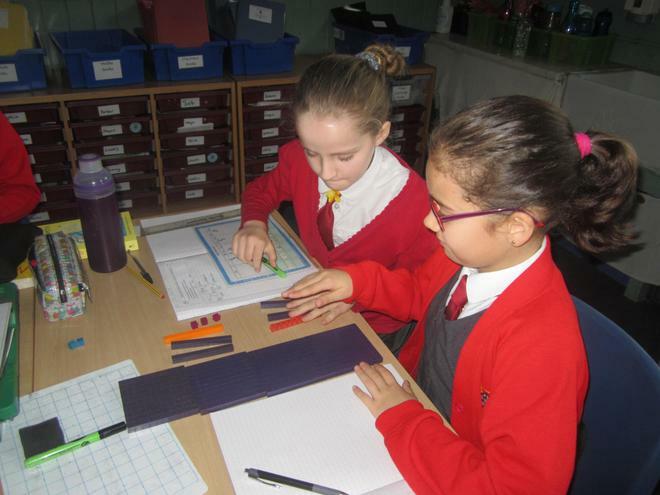 This week, the children have continued their work on fractions. Please keep encouraging your children to learn their times tables at home over half-term. 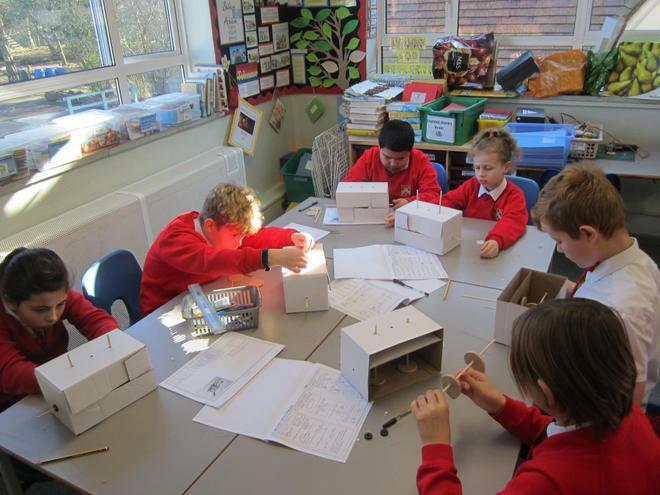 This week in science, the children looked at how people’s understanding of the solar system has developed over time. 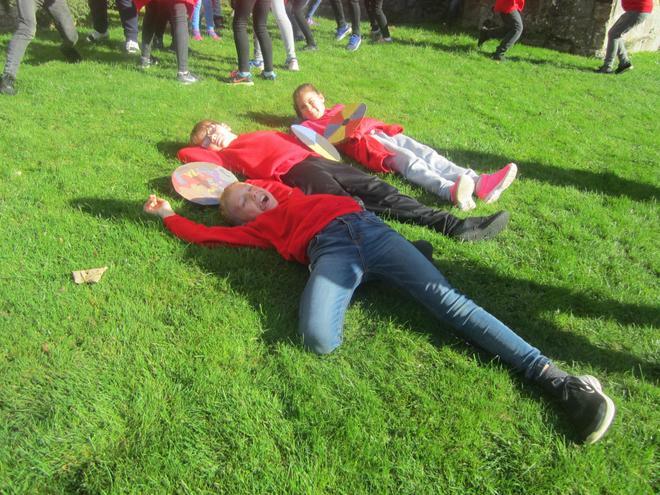 We hope you all have a brilliant half-term and enjoy a well-deserved rest. 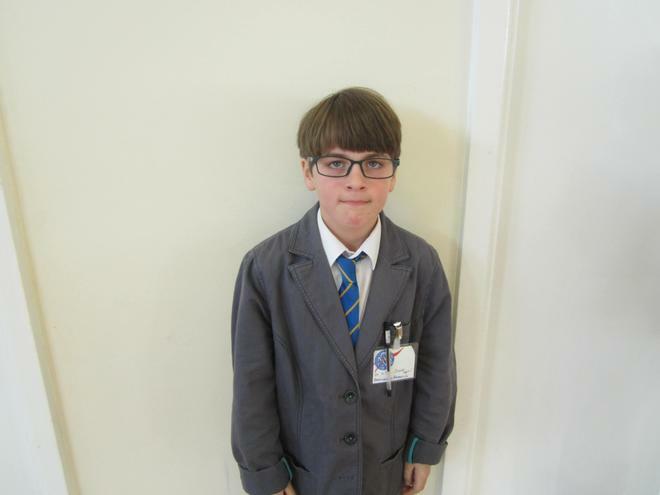 26th and 28th February – Parents’ Evening. 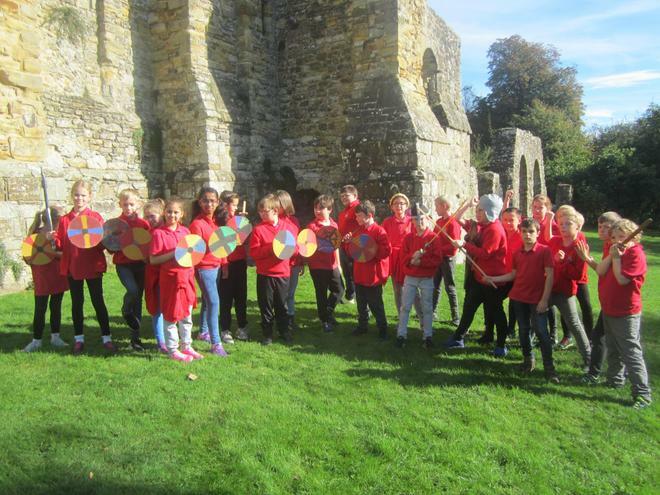 We had a fabulous start to the week with the Astrodome visiting us on Monday. 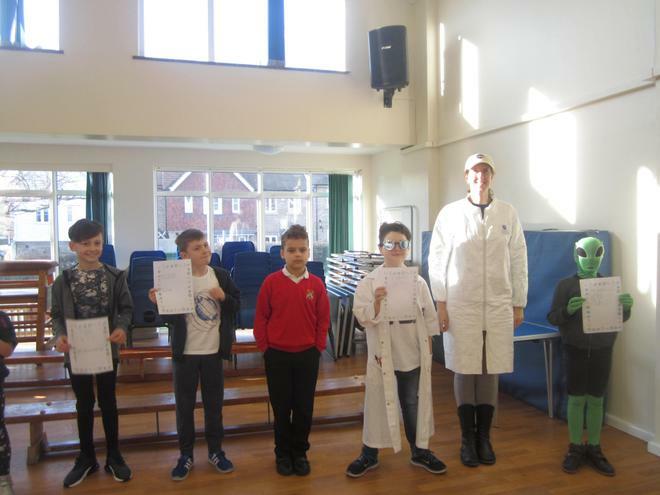 The children thoroughly enjoyed observing constellations, Apollo 11 launching, shooting stars and visiting the varied planets of our solar system. 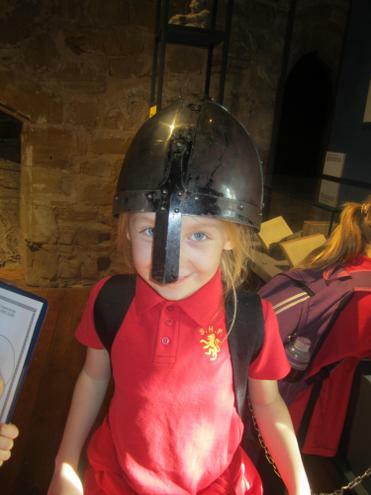 It was a brilliant way to embed the children’s learning. 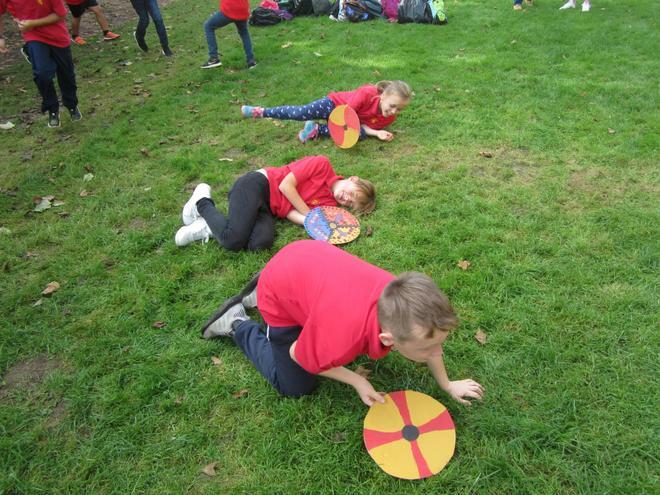 Later in the day, the children enjoyed recreating our solar system using a variety of spherical objects; including fruit, a football and a peppercorn! 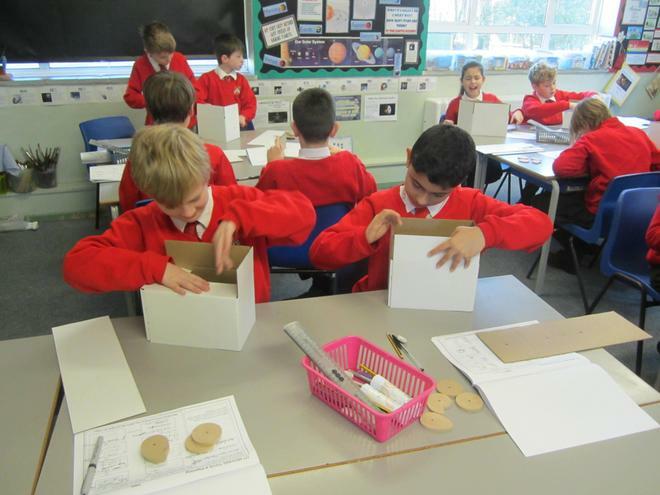 Thank you to all the children who brought in a cardboard roll, these were used to create constellation viewers. 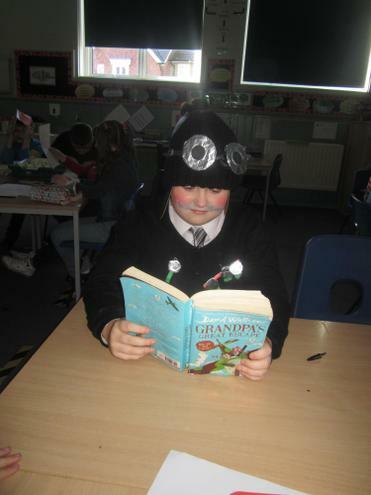 This week in literacy we have continued our work on biographies. 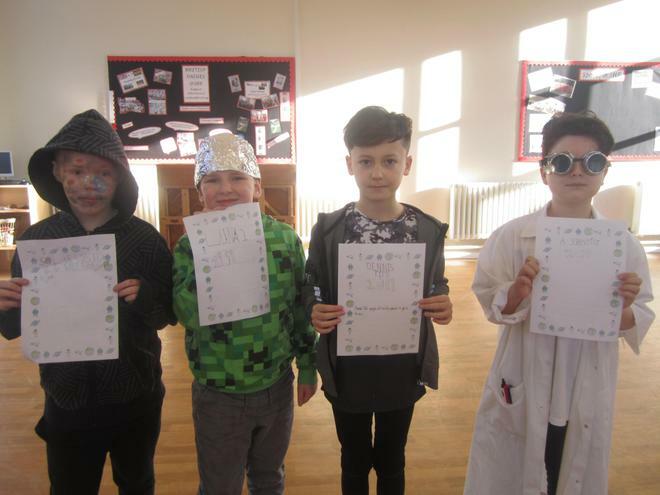 The children have started planning their biography which will be about a fictitious astronaut who has visited the planet that they created a few weeks ago. Next week, the children will write their biography. To support your children at home, please discuss any ideas that they might have and read biographies of famous people to familiarise them with the structure. This week, we have continued our topic of fractions. The children have been converting between improper fractions and mixed numbers. In addition, they have created equivalent fractions in order to compare two fractions with a different numerator and denominator. Next week, the children will continue with their work on fractions. 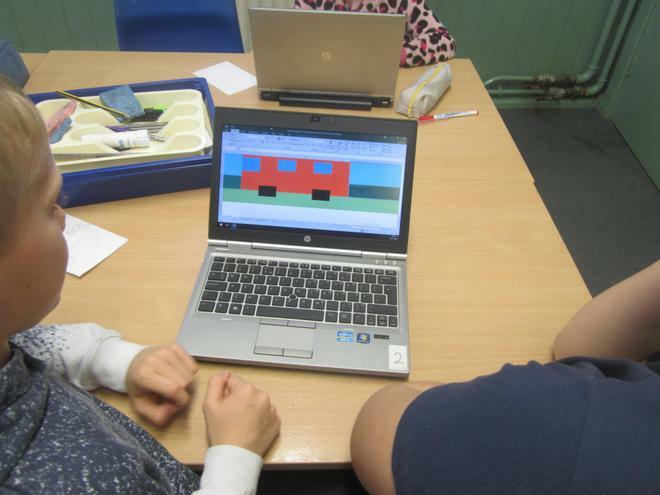 This week the children have designed their cam toy. They have decided what types of cams they would like to use and what movement they would like to happen. 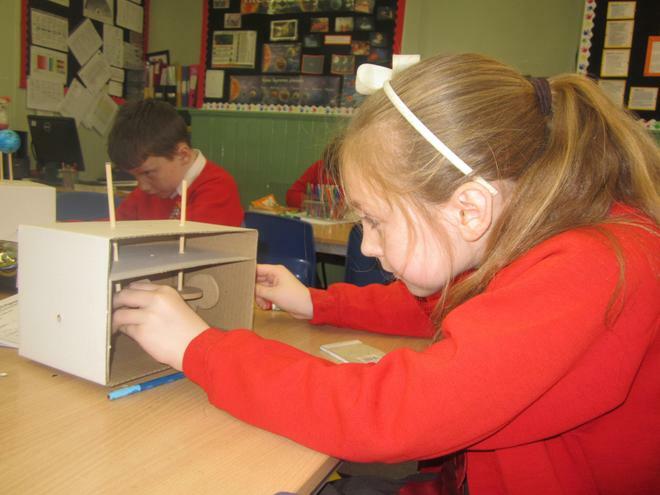 Next Thursday, the children will be making their cam toy. 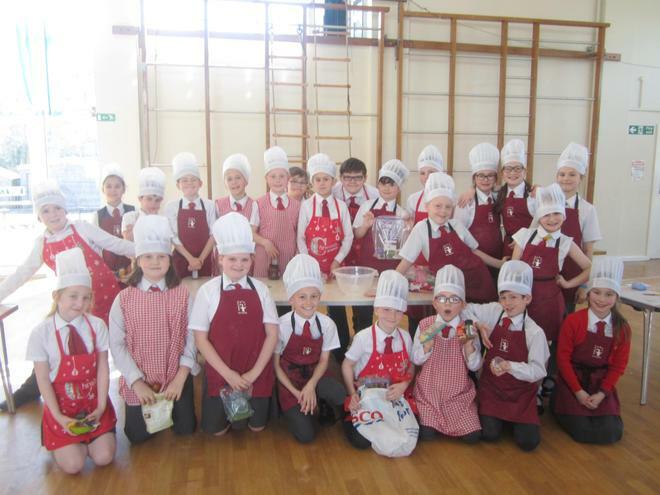 Any additional resources that the children will need should be brought in before then – thank you. We hope you have all managed to keep safe and warm in the wintery weather. Many of the children really enjoyed playing in the snow/slush in the playground today so thank you for sending them in with appropriate footwear and clothing. 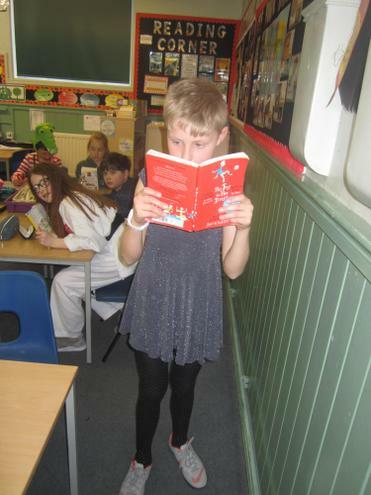 This week in literacy we have been looking at autobiographies and biographies. 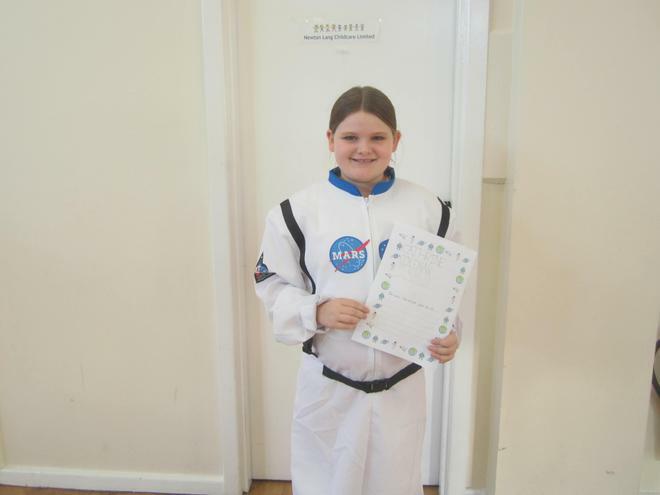 The children carried out research on a chosen astronaut and wrote a short biography using questions as subheadings. For homework, the children will have written some questions down for a family member to answer. Please could they try and complete these ‘interviews’ by Tuesday. 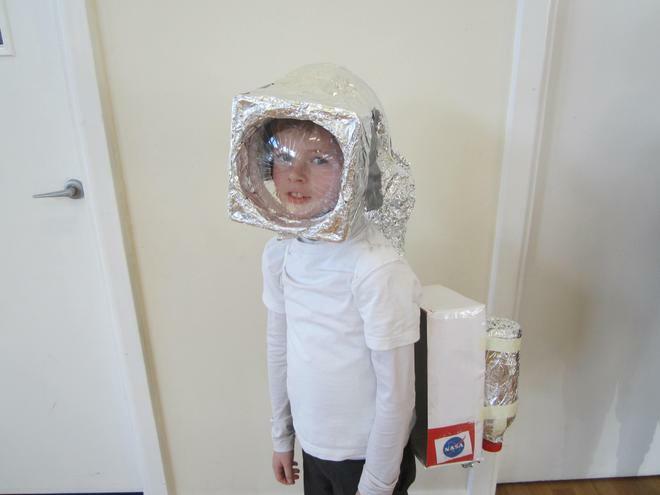 Next week the children will by writing a full biography about their chosen astronaut. 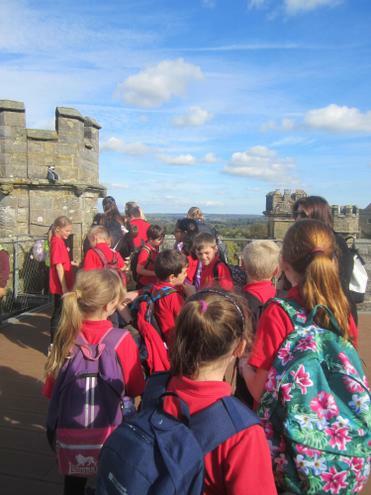 In order to support this work, it would be helpful if the children could carry out additional research at home. 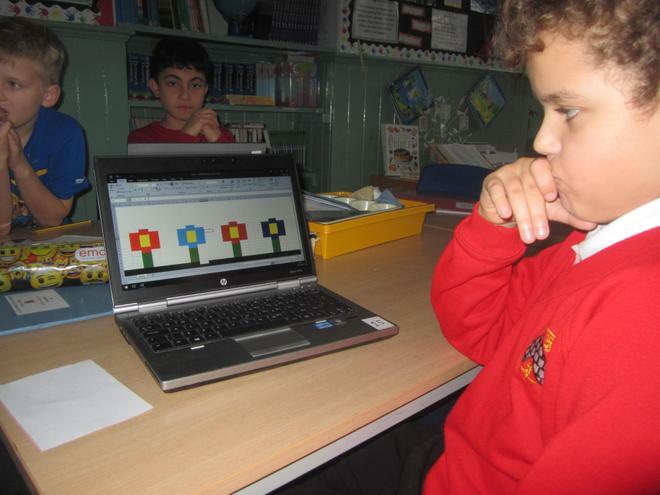 This week, the children have started their new topic of fractions. 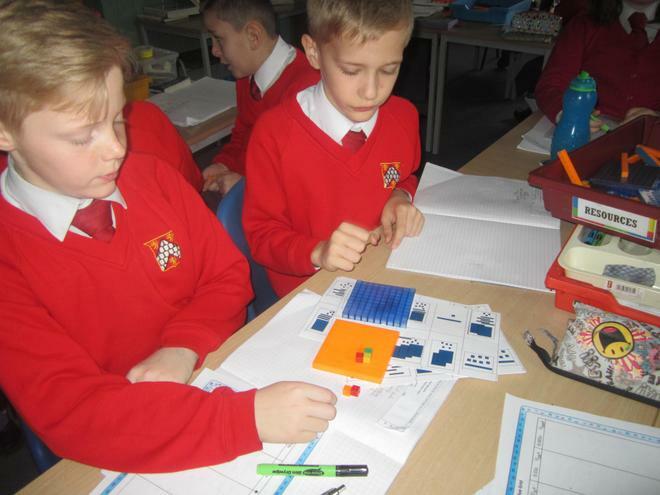 They have used manipulative and their times tables to help them find equivalent fractions. 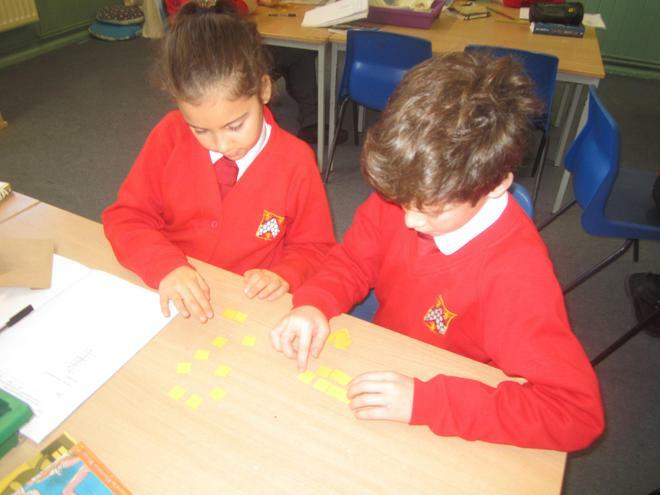 Furthermore, the children have been looking at improper fractions and mixed numbers. Next week they will continue to convert improper fractions into mixed numbers and vice versa. They will also start comparing and ordering fractions. 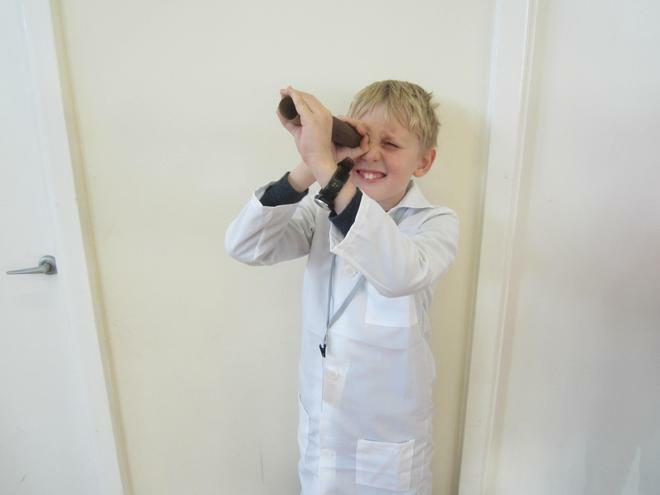 This week in science, the children have been learning about the different planets. 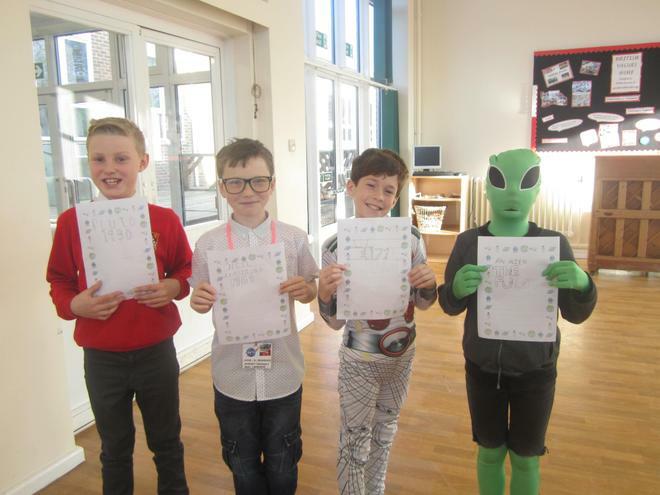 They really enjoyed creating their own Top Trump cards based on the eight planets in our solar system. 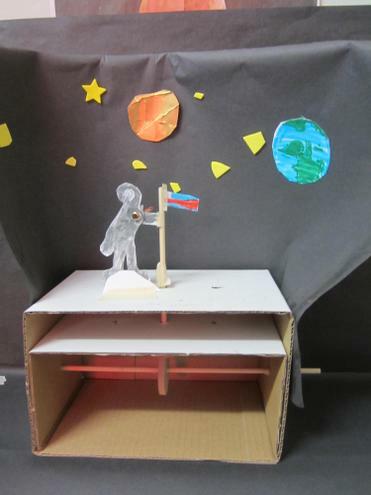 We are all really excited about the Astrodome on Monday morning; it will be an excellent way to consolidate all the learning that has taken place this term. We are also looking forward to seeing the moon dairies next week. 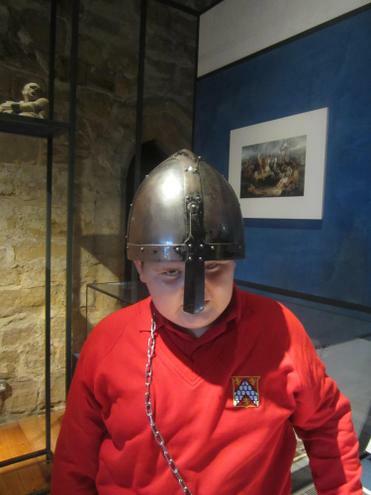 Monday 4th February 9am – Astrodome coming to visit. What a fabulous week to be a ‘moon watcher’! We hope you were all up bright and early on Monday to experience this rare astronomical display – the super wolf blood moon. We are looking forward to seeing how the children have drawn this on their moon diary. 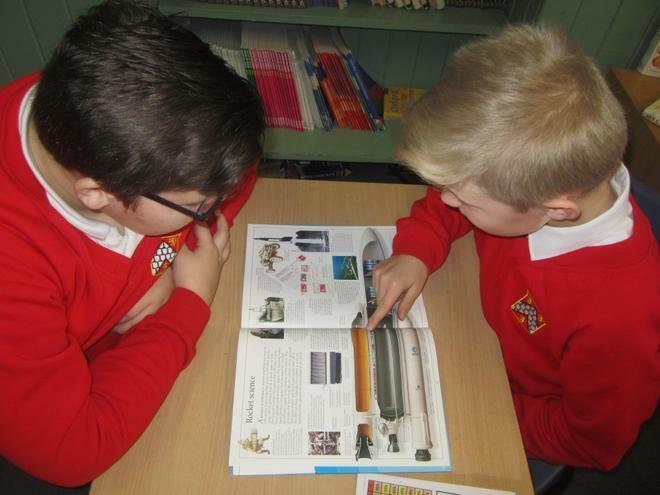 This week in literacy we have been researching about missions to the moon; from Luna 1, to Neil Armstrong’s history-making first step and to the very recent Chinese robotic probe landing on the far side of the moon. We hope that the children have enjoyed sharing many new exciting facts with you. Next week, we are going to be looking at biographies and autobiographies. Please make sure that your child has chosen an event that they would like to discuss in class. This event could have been: interesting, exciting, frightening, rewarding etc. They will use this to create their own short autobiography. 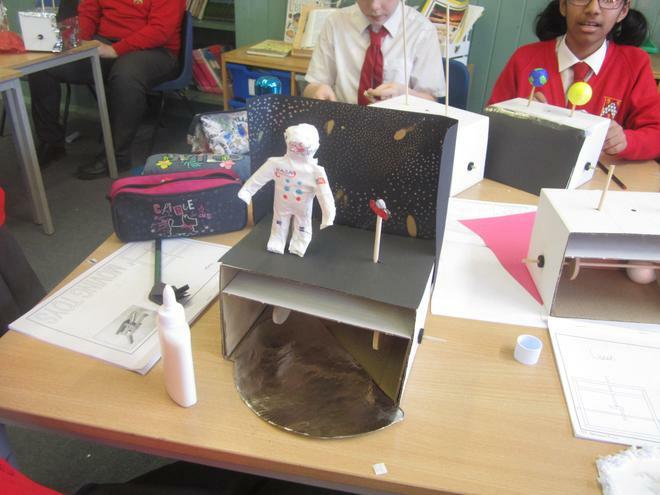 The children will then research famous astronauts and create a biography from the information that they have discovered. 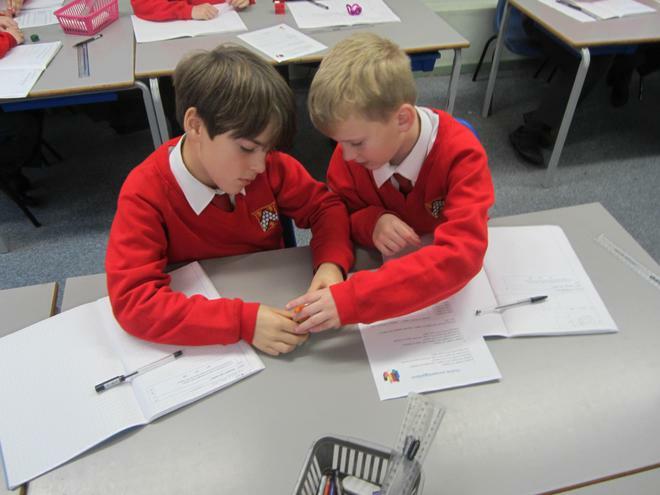 This week, the children have been solving a range of word problems involving multiplication and division. 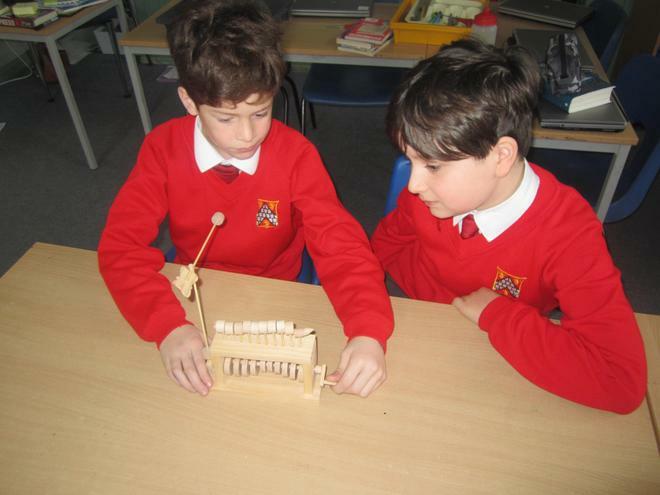 This has allowed the children to apply what they have learnt to different contexts. Next week we will be moving onto fractions. We will be learning about equivalent fractions and how to create equivalent fractions. This week in science, we have been learning about the different phases of the moon and why the way the moon looks changes each night. 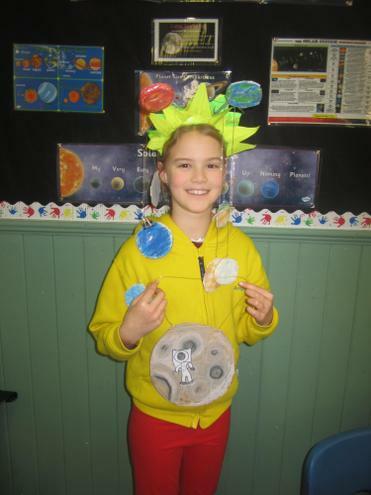 Next week we will be learning about the planets in our solar system. Please encourage your child to carry out extra research at home. 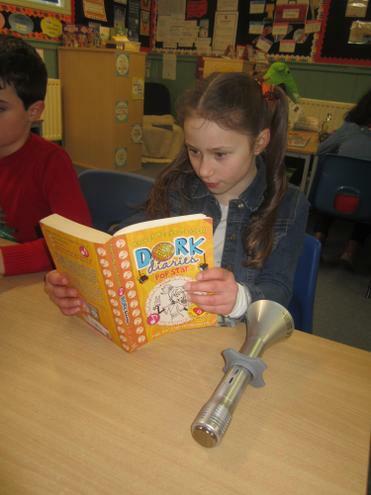 We believe that it is incredibly important that all of the children read on a daily basis, however we also appreciate that this can sometimes be hard to achieve. 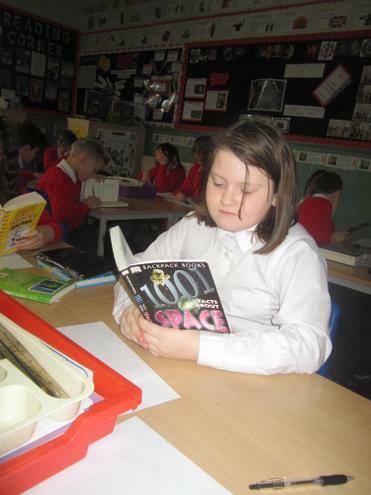 We would like to enable more children to have an opportunity to read with an adult during the school day. We will not be able to do this without your support and would therefore very much appreciate any help that you can offer. Training sessions are being held for any parents who are willing to help. If you are able to come in to hear individual readers, please could you let the school office know – Thank you in advance. Following on from the visual input last week, the children produced some thoughtful pieces of descriptive writing. 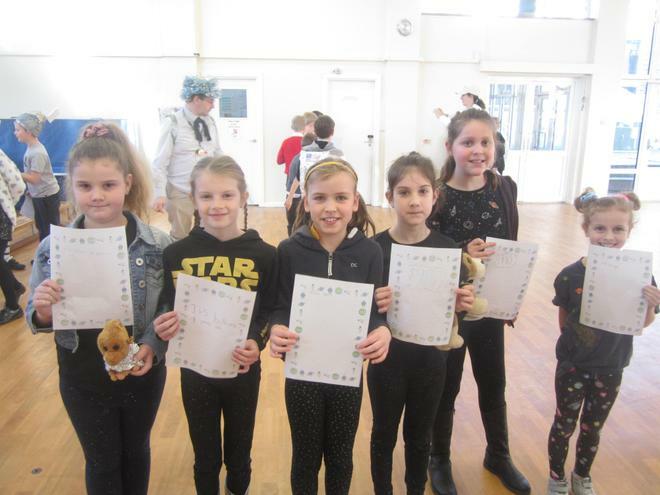 Most of the children are now taking much more care over the presentation of their work and were therefore able to celebrate their stories by writing them up neatly once they had been self-edited. week, we are going to be learning about moon missions. Please encourage your children to carry out research at home and discuss any technical vocabulary. 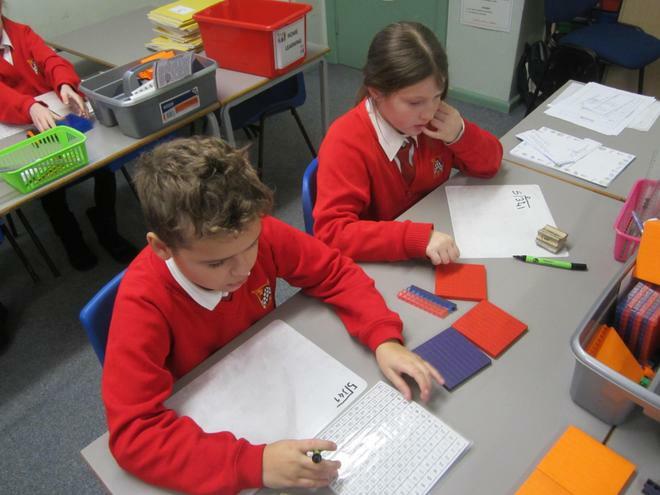 This week, the children have been using a formal written method to solve short division problems. Please ask your children to explain this strategy to you. Next week we will be doing a mixture of multiplication and division along with word problems to ensure that the learning has been embedded. Please involve your children with any problem solving which you might need to do at home. 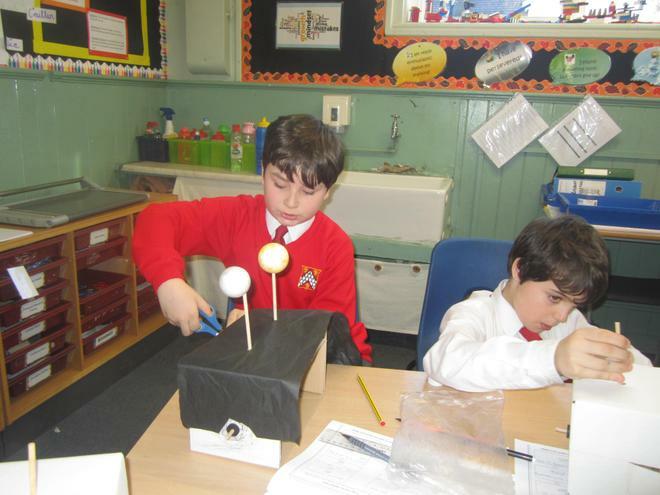 This week in science, the children were investigating the rotation of the earth and moon. 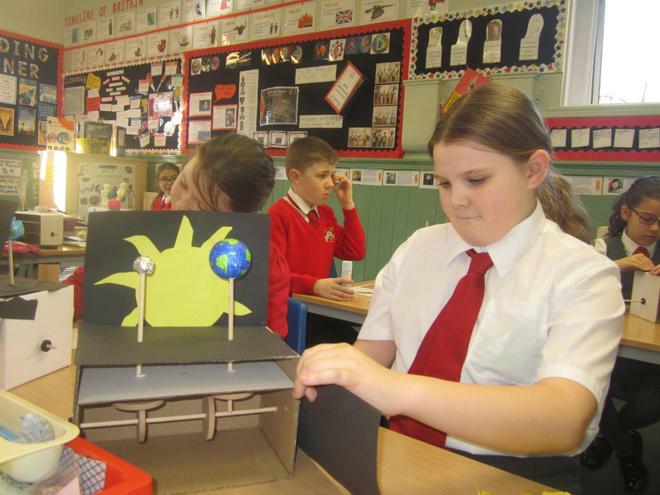 With the help of diagrams, the children were able to explain how a solar eclipse and lunar eclipse occur. Please ask your children to explain this to you to ensure that they understand. We look forward to seeing the children’s moon diaries in a few weeks. We would like to wish you all a very happy New Year. It is hard to believe that we have only been back for one full week. 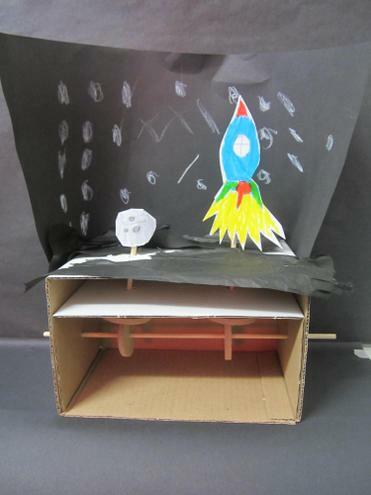 We certainly hit the ground running with our stunning start for our new learning journey topic: ‘Out of this world’. Thank you for the big effort that was made with the space exploration outfits. 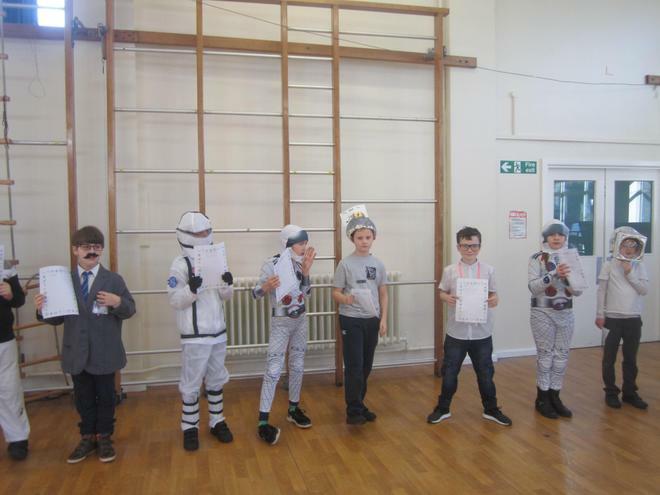 The children had fun creating human timelines. 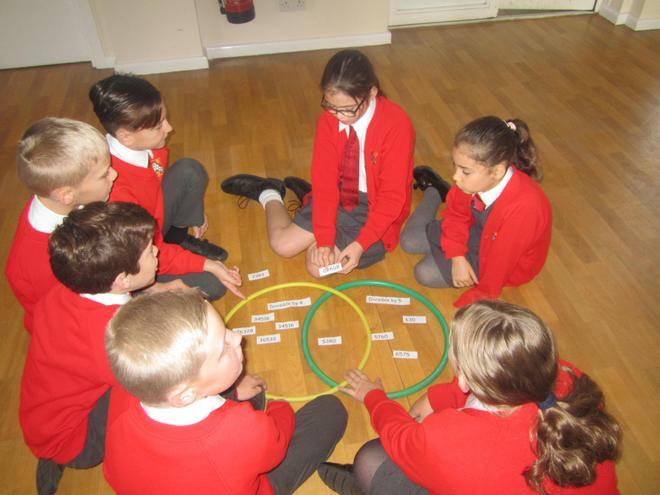 This week in Literacy, the children have become immersed in our new topic. 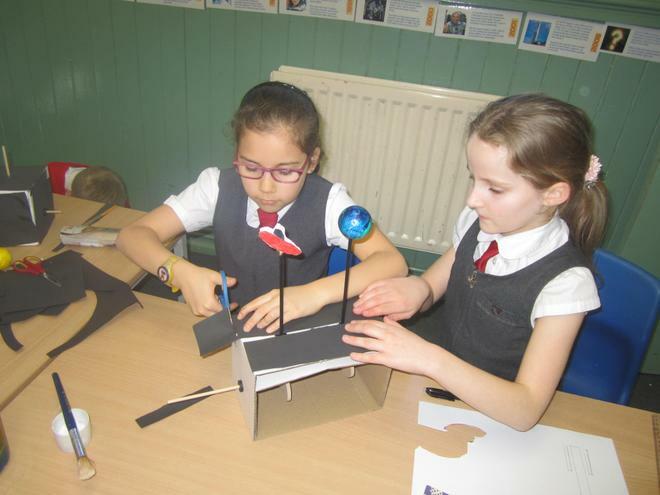 After watching a short video clip full of detailed descriptions about the discovery of a new planet (Pandora), the children enjoyed ‘talk for writing’ and inventing their own planet. They wrote some wonderful descriptions about what their planet would be like. Over the weekend, please encourage your child to describe their planet to you. 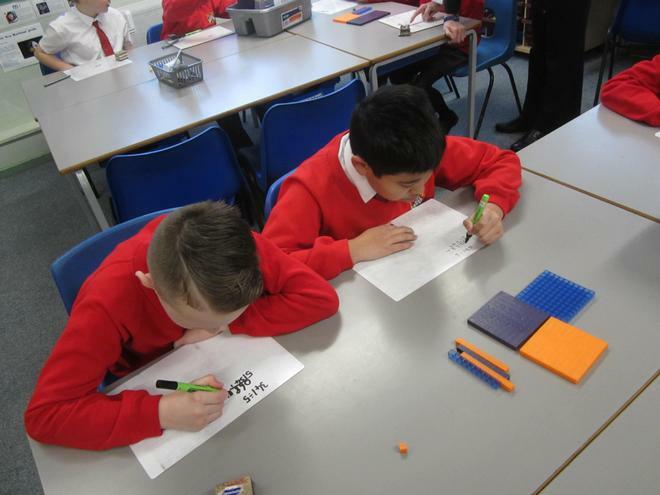 This week, the children have been using a formal written method to solve both short and long multiplication. For their homework, the children have been given three long multiplication problems to solve. The children have worked very hard to understand this method. At home, it would be helpful if they could explain the method to you to help embed their understanding. 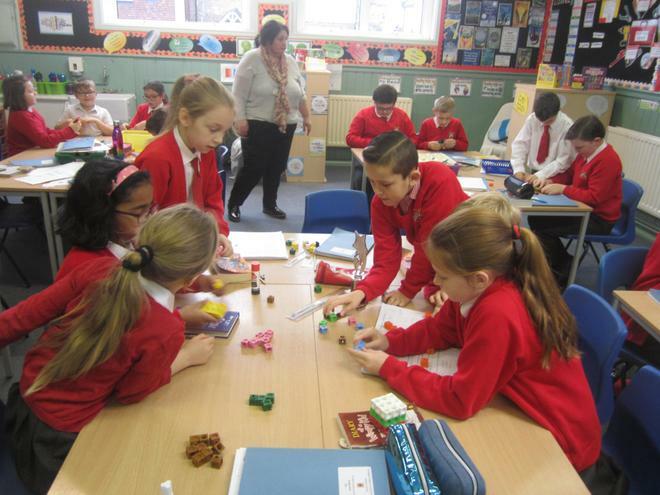 It is also extremely important that the children continue to learn their times tables. Next week, we will continue to work on long multiplication but then move onto a written method for short division. 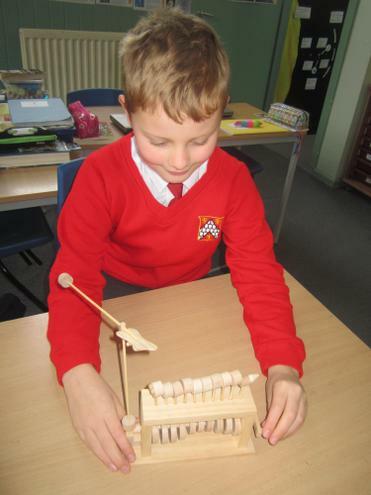 We investigated a variety of moving toys this week – thank you to all of those children who brought one in to share. 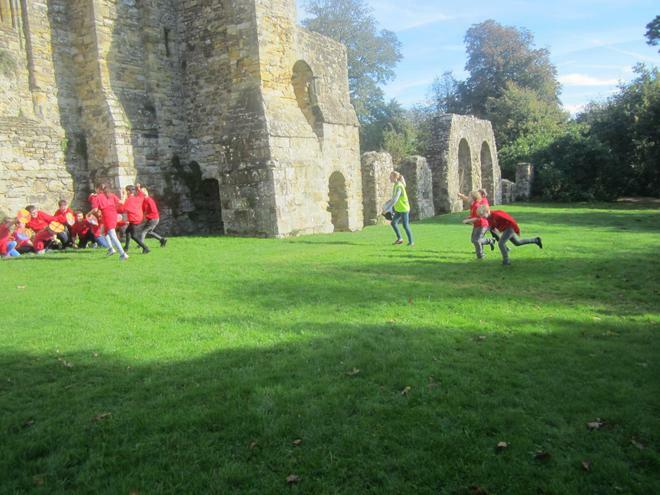 The children discovered how different cams have an impact on the type of movement the toy will make. 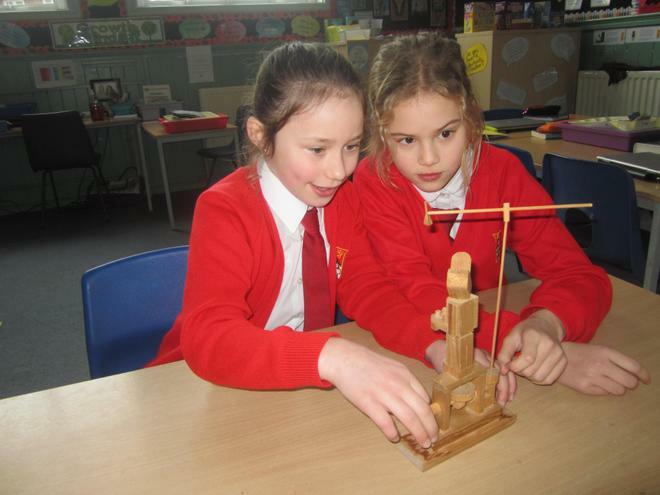 The children are very excited about creating their own moving toy based on our topic. 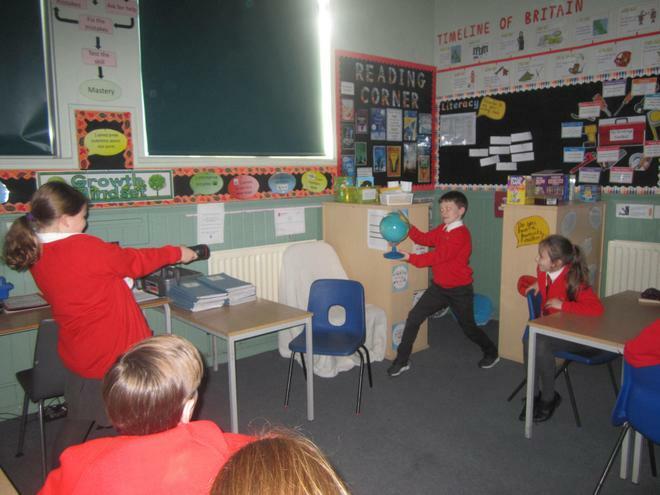 This week the children used the idea of the Earth’s rotation to explain day and night. Please encourage your children to explain this to you to check their understanding. 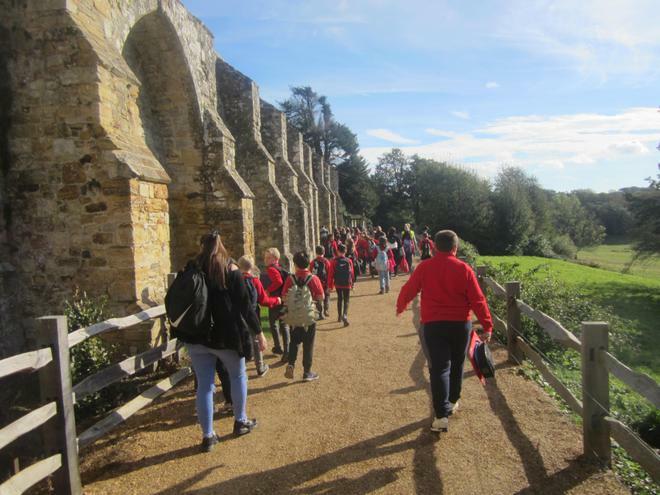 This week in Year 5: Monday 7th - Friday 10th January 2019. A stunning start for our new topic: Out of this world. 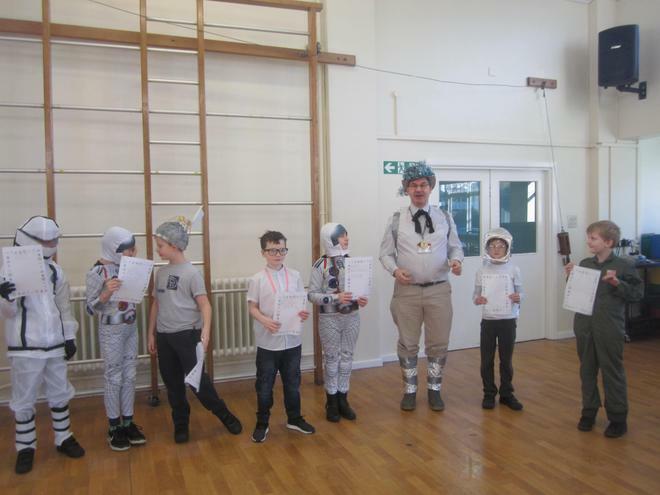 The children enjoyed creating human timelines. It has been a hectic penultimate week running up the Christmas. Thank you to all the parents/carers who were able to attend our Samba presentation –we hope you enjoyed watching your talented children. 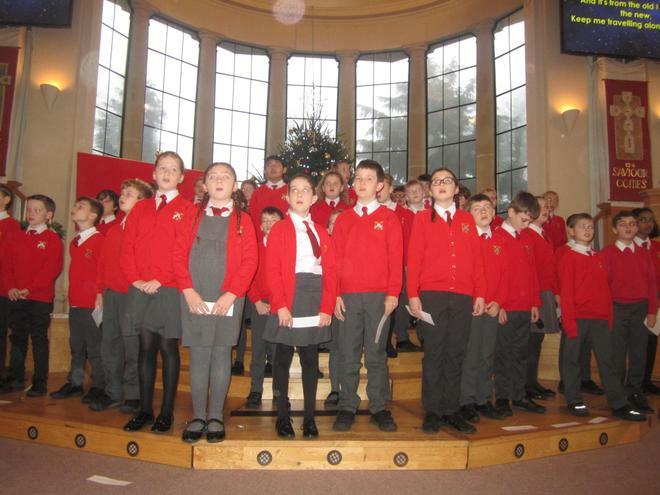 In addition, thank you to all of those who were able to make our Carol Service. I think you would all agree that it was a wonderful occasion. 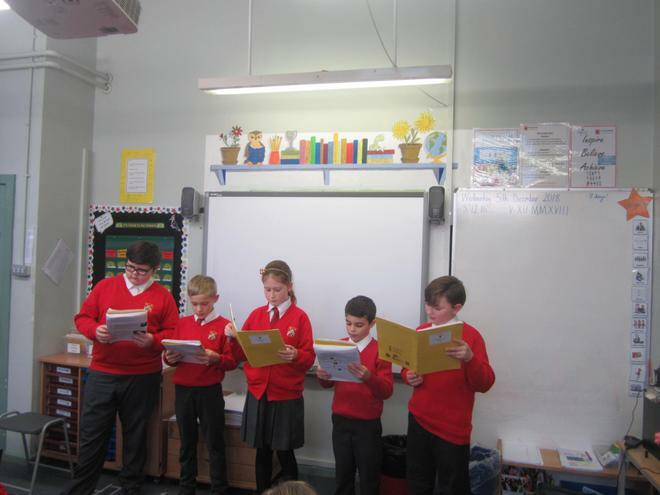 This week in Literacy the children have worked hard to create a persuasive leaflet about their South American country. 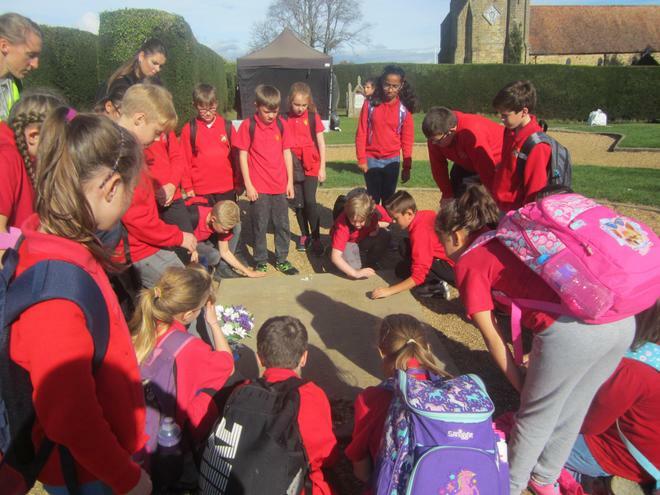 The groups are now all prepared for their presentation next week where they will work as a team to persuade the rest of Year 5 to visit their South American country. We are very much looking forward to see which South American county will win the tourists’ vote! This will bring our South American learning journey to an end. 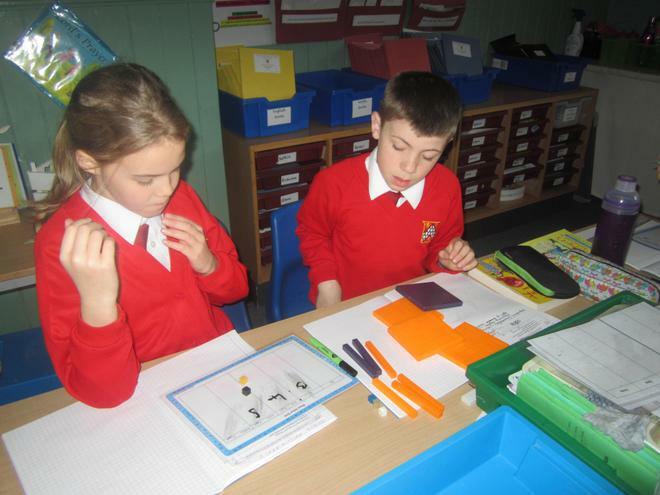 In maths this week, the children have been finding the area of rectangles, compound shapes and irregular shapes. Please keep encouraging your children to learn their times tables. 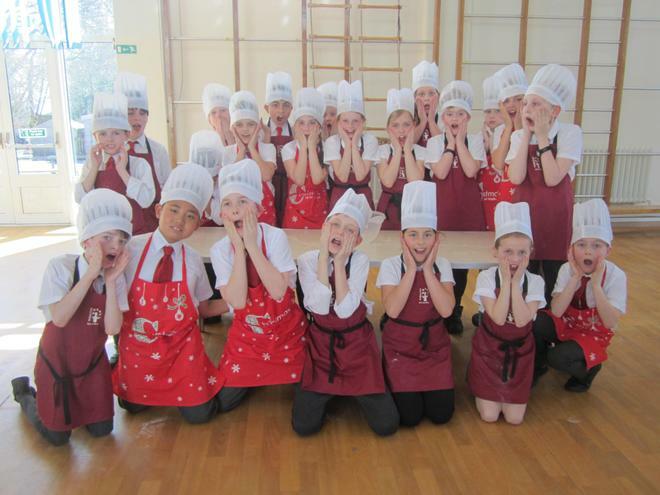 Thank you for all your support this term and thank you to the children who have worked incredibly hard. We hope you all have a fabulous Christmas and enjoy a well-deserved rest! 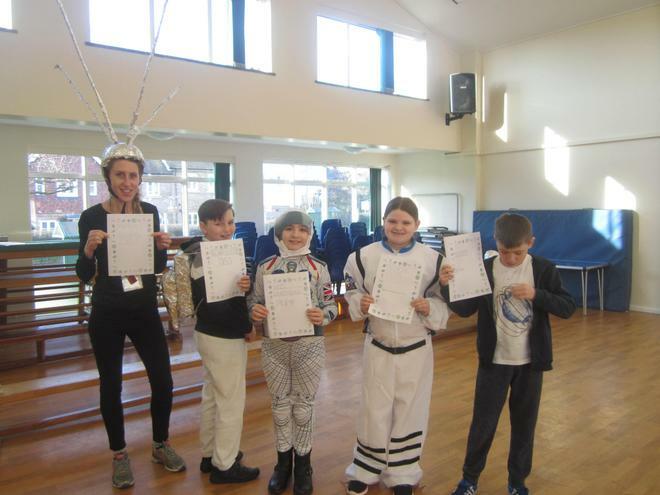 Wednesday 19th December – End of term! Friday 4th January 2019 – Term starts. Thank you to all the parents who were able to come to the Church on Wednesday to support the children during their Year 5 worship. 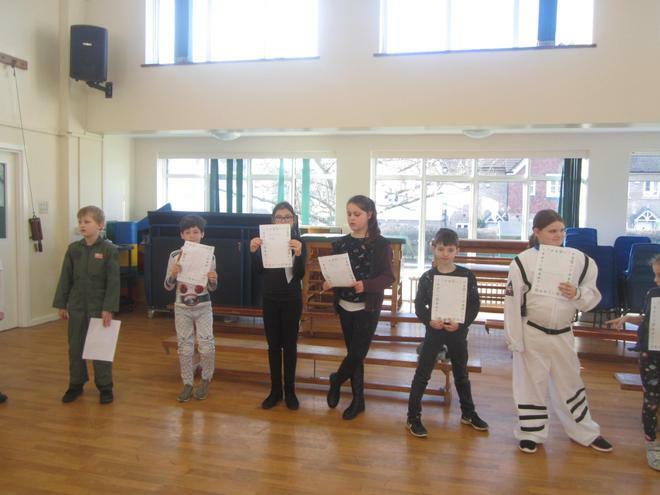 The children enjoyed presenting their class values to the congregation. 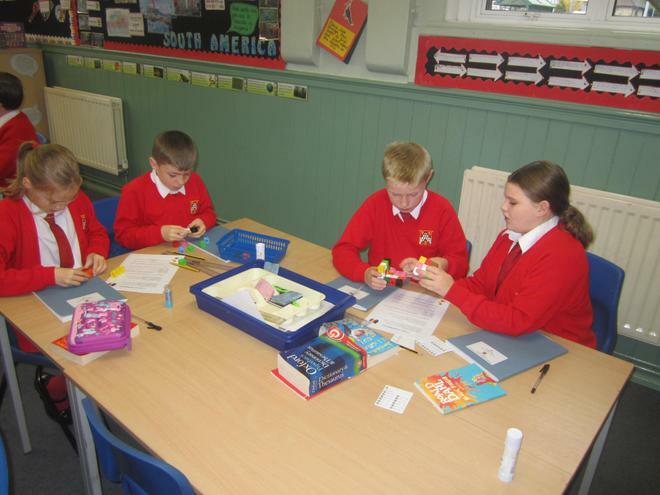 This week, the children have continued to work in their groups to write speeches promoting their country. 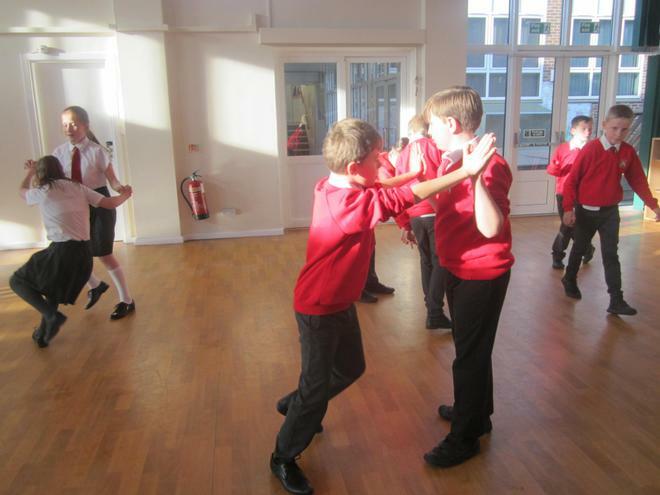 The children have been using a range of persuasive techniques. 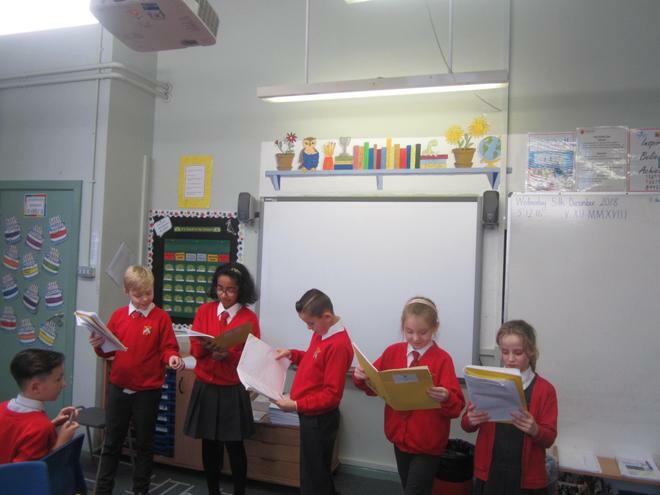 They enjoyed performing their speeches to the rest of the class. 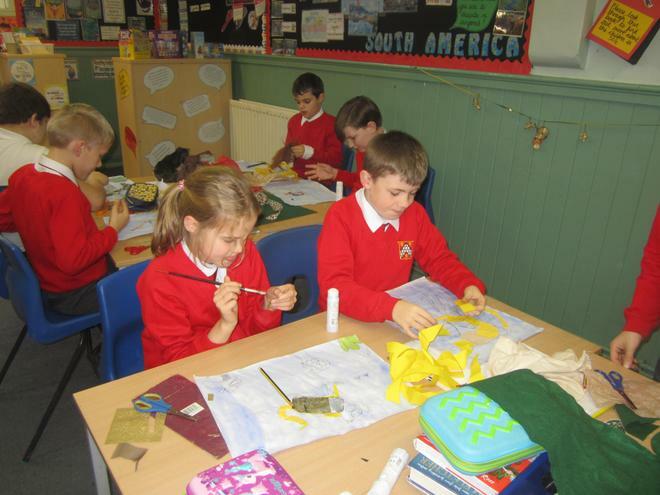 Next week, the children will be producing an informative leaflet about their South American country. 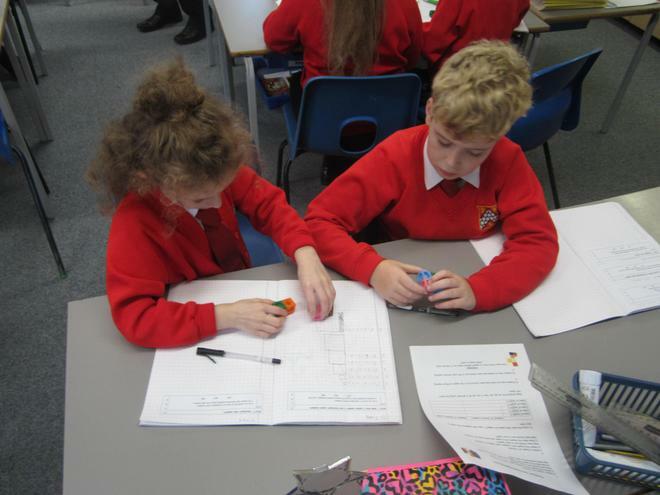 This week, the children have been finding the perimeter of rectangles and compound shapes. They used the floor plan from a flat to work out how much skirting board would be needed for the whole flat. Next week, we will move on to finding the area of rectangles, compound shapes and irregular shapes. The children have worked really hard to produce some fabulous collages. We are very impressed with how creative they have been. 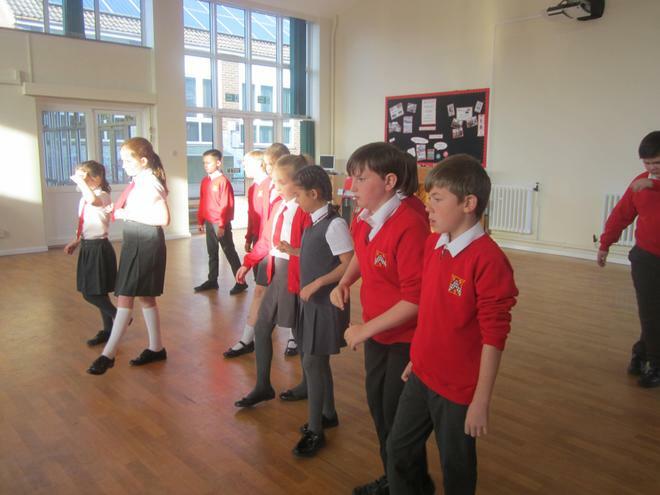 The children had their final rehearsal this week before next week’s performance. 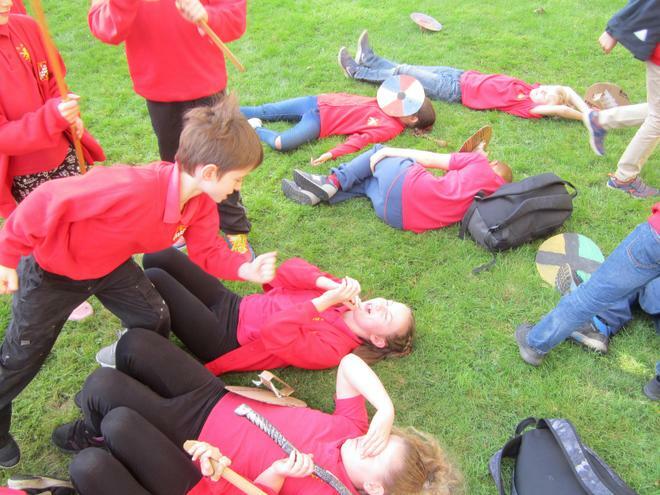 The children will be performing to parents at 2.45pm next Wednesday (12th December). 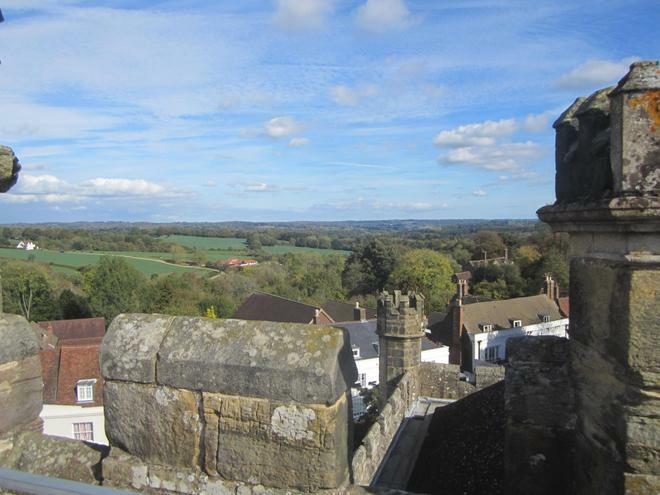 Wednesday 12th December – 6pm - Carol Concert at the church. Friday 14th December – Christmas jumper day. 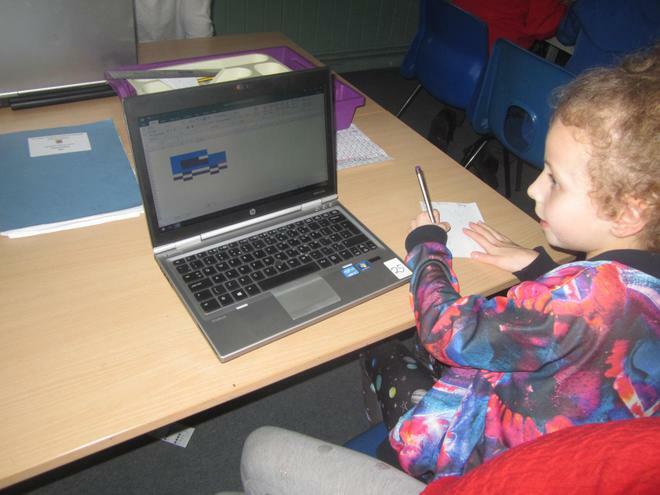 This week in our Literacy lessons, the children have been using their research to create an advertisement about their South American country. They have learned how to use a range of persuasive techniques effectively in order to promote their country. Next week, the children will be writing a persuasive speech about their country which they will then perform to the rest of the class. 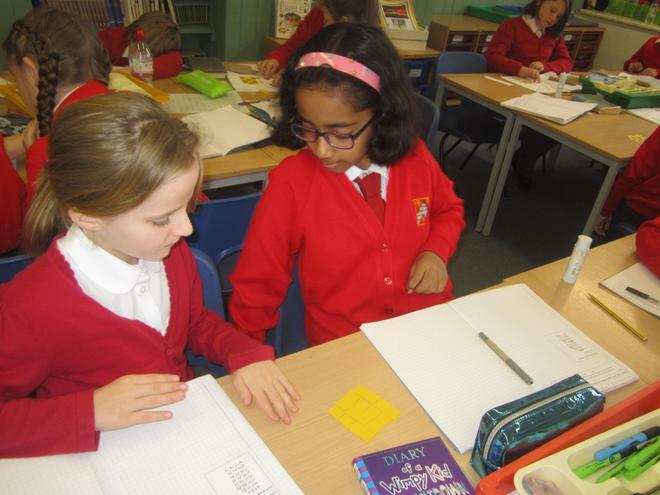 This week, the children have been using place value charts to help them multiply and divide by 10, 100 and 1000. 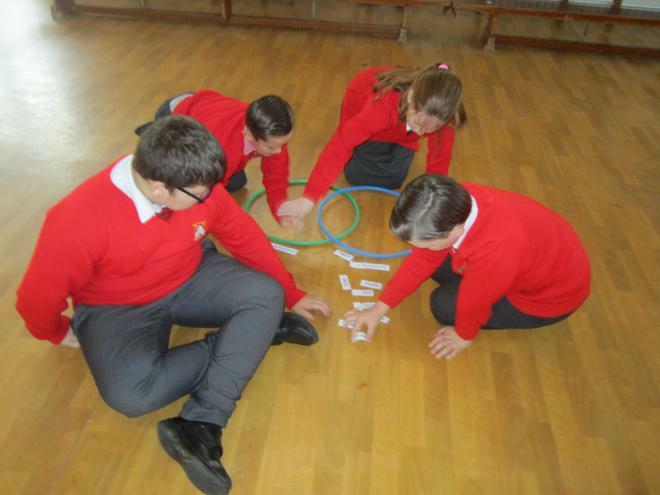 They have then been using their times tables knowledge to help them solve multiplication and division problems which include multiples of 10, 100 and 1000. Next week, we will be moving onto learning about perimeter and how to find the perimeter of different shapes. At home, please encourage your child to help you with any accurate measuring. It could be to make sure that all the Christmas decorations are evenly spaced! 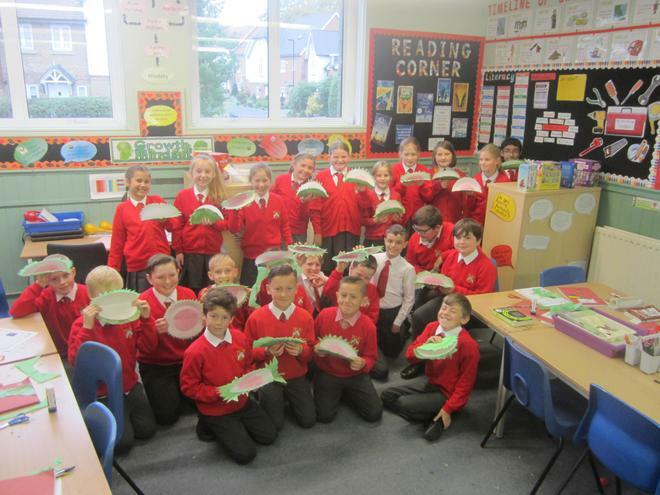 This week the children have been learning about metamorphosis, including the life cycle of a frog. To support our learning journey, next week the children will be learning about a range of animals that live in the rainforest. We are looking forward to seeing you all tomorrow at the Christmas Fair. 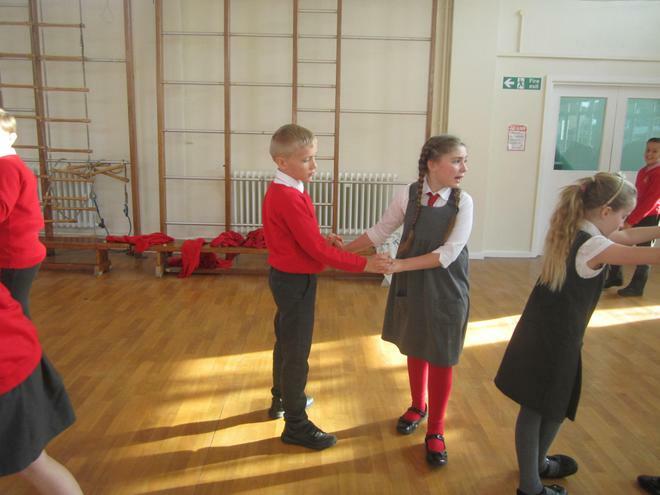 Wednesday 5th December – Year 5’s church worship. It would be great if you can come along and support all of the children in Year 5. 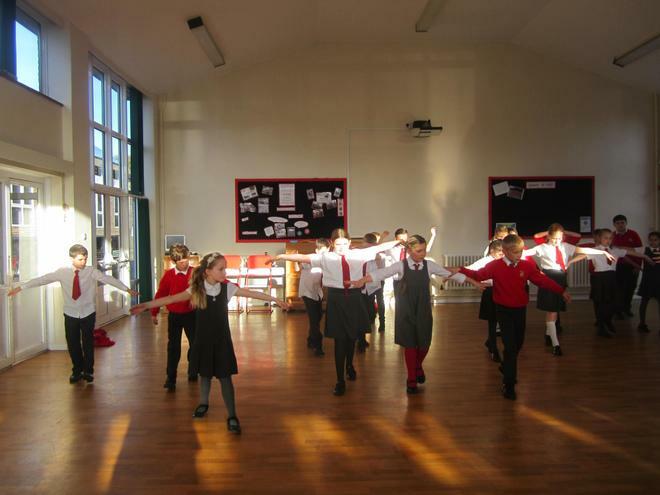 Wednesday 12th December - the children will be performing their Samba to any parents who are free to come and watch. Timing TBC. 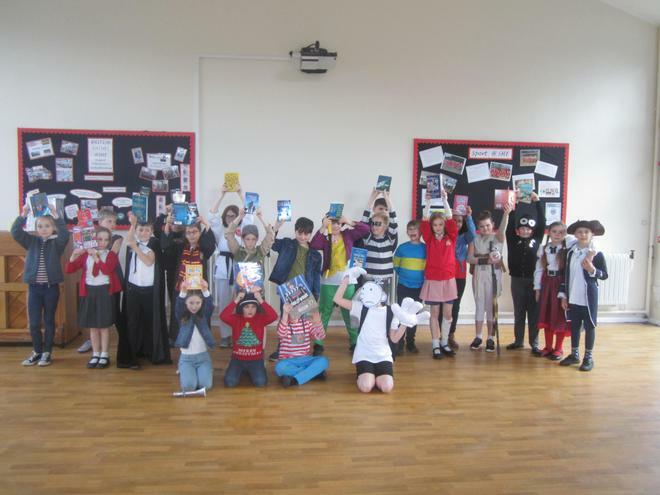 Thank you to all those parents who were about to make it to our Year 5 book look this week. It was lovely to see you and the children enjoyed showing off their work. Please don’t worry if you were unable to make it, there will be another opportunity next term for you to come in. 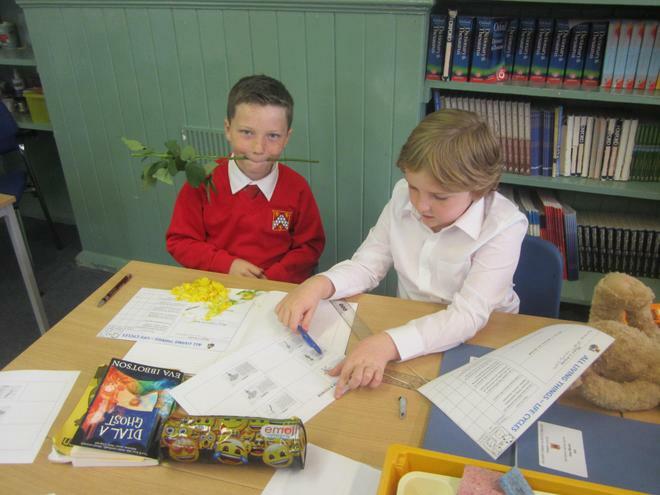 This week in our learning journey, the children were looking at human geography. We discussed land use, settlements and trading. After watching a short clip about banana trading in South America, the children came up with some thoughtful reflections about fair trade and why it is important. 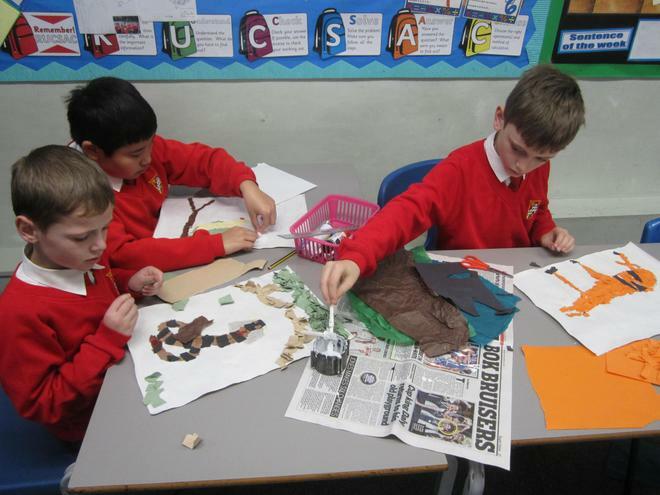 We have also made a start to our collages this week. 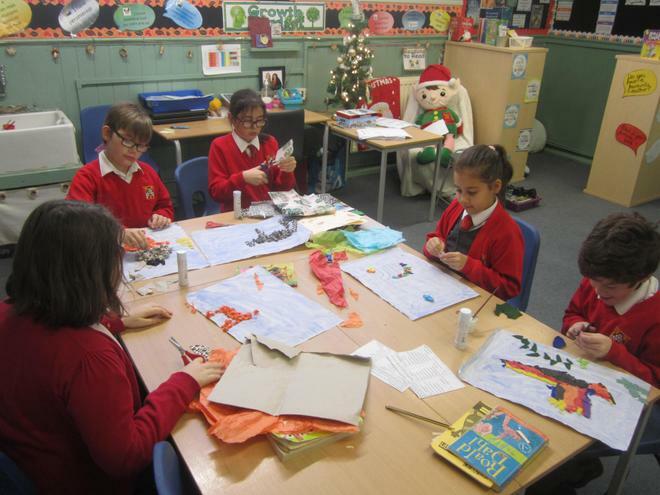 As stated on the home learning sheet, please encourage your child to bring in collage materials that will be useful for them to complete their art work. 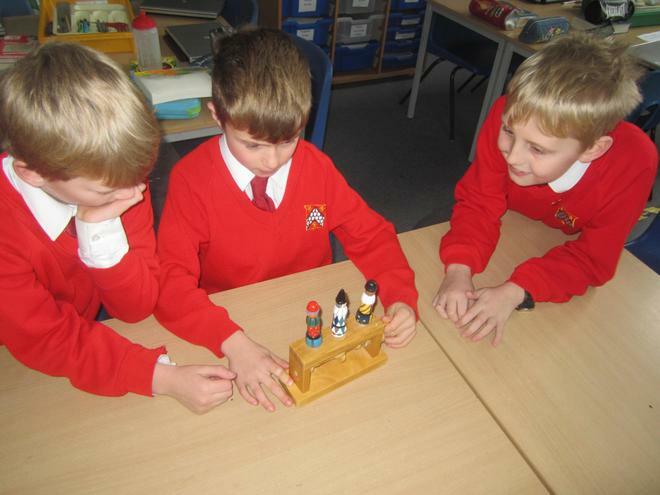 In English this week, the children completed their ‘hot task’ from our Toki work. 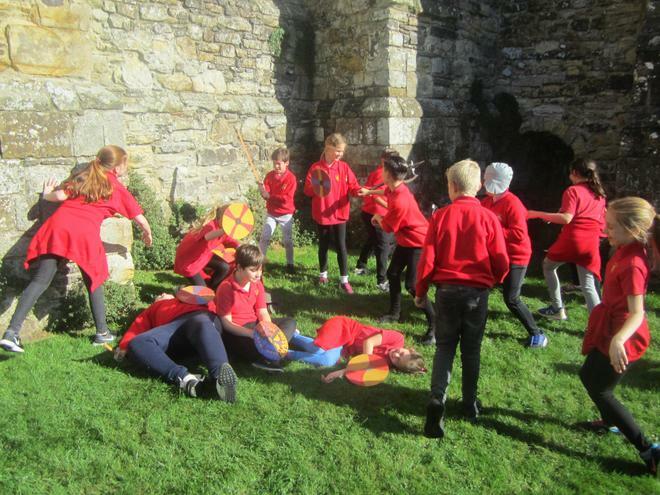 The children were very adventurous when creating an ending to the story. They finally got to watch the ending of the clip and, to be honest, we think that some of their endings were much more exciting! Next week, we will be using their research on South America (that the children will have completed for their home learning) so please make sure that the children find out as much as they can. 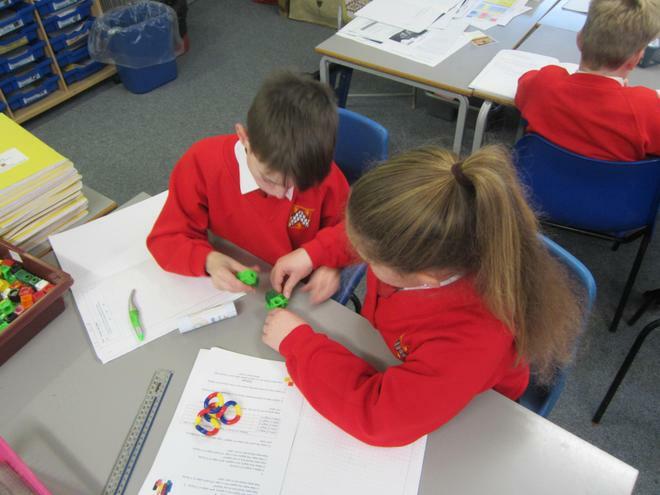 This week, the children have been investigating square and cube numbers so we have had lots of fun with multi-link! 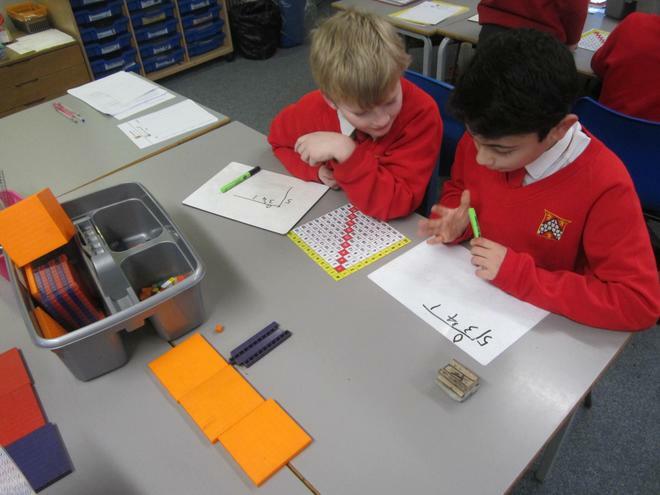 The children are becoming much better at identifying patterns in the number system. Next week, we will be multiplying and dividing by 10, 100 and 1000. 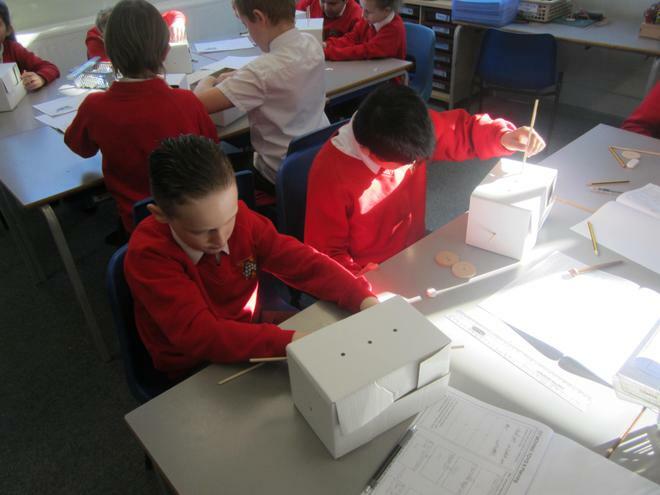 In science, the children enjoyed examining eggs and discussing bird migration. Saturday 24th November – 9.30am – planting day at school. 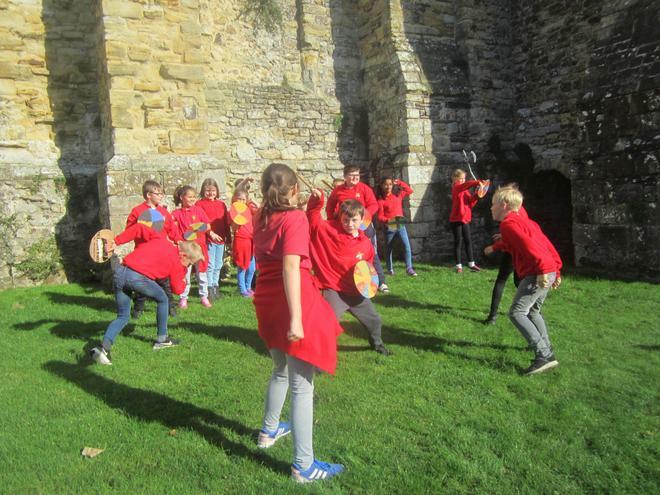 Tuesday 27th November - 2pm – pantomime for the children. 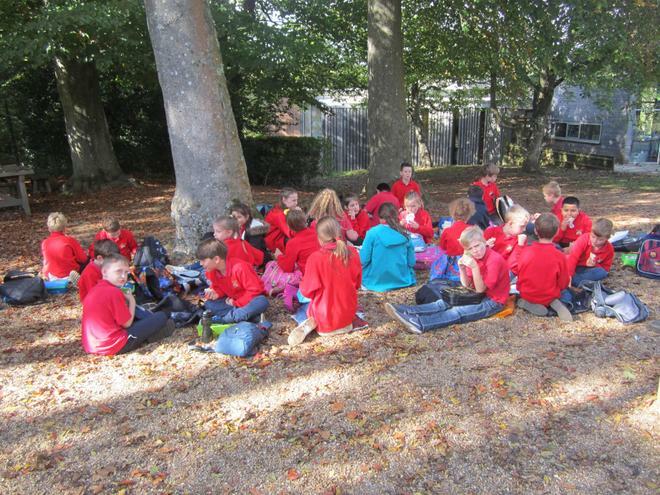 Thursday 29th November – 5EG Forest School – please can children remember to bring their clothes for this. 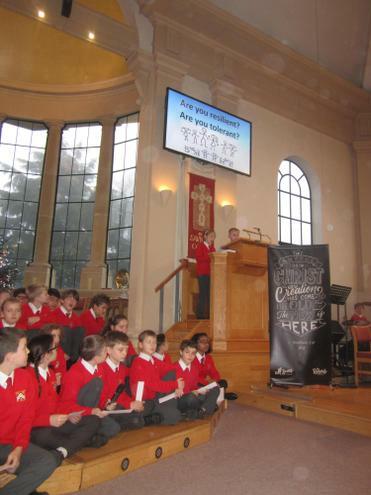 Wednesday 5th December – Year 5’s church worship. 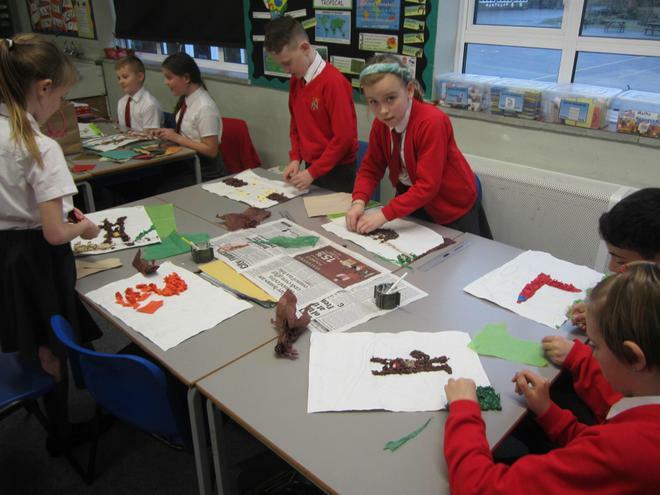 This week in learning journey we have been discovering about the different layers of the rainforest; from the forest floor to the emergent layer. 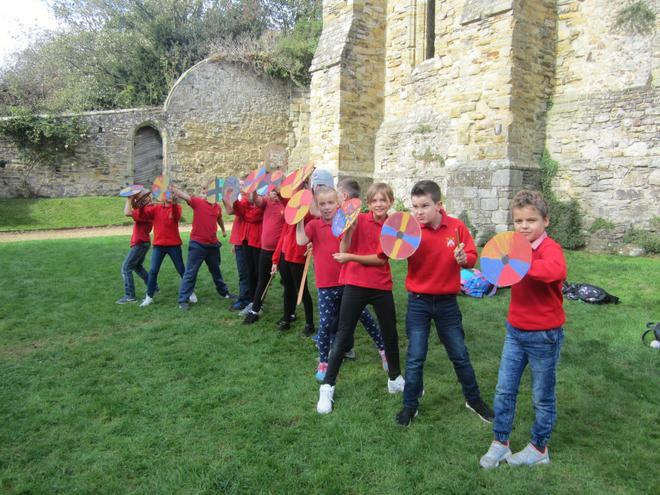 During our art lesson, the children enjoyed looking at some art work by Oenone Hammersley. They thoughtfully critiqued her work; explaining what they liked and why. 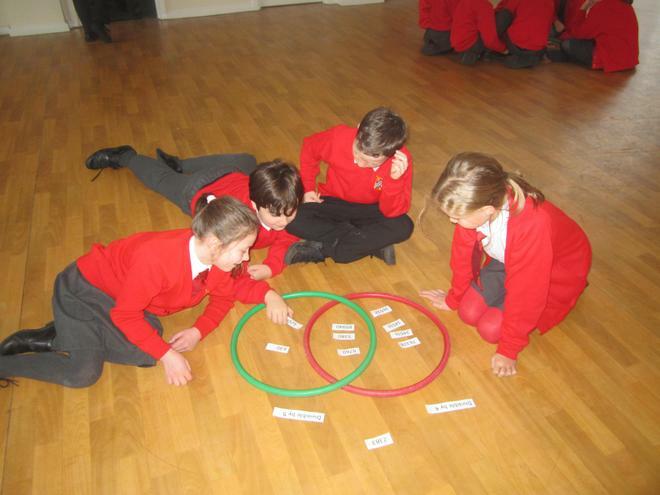 In English this week, we have continued to use ‘Ride of Passage’ to create thoughtful pieces of writing. We have been looking at ways that we can make our writing more exciting by varying our sentence openers. Please encourage your child to look at sentence openers in the books they are reading at home and discuss how effective they are. 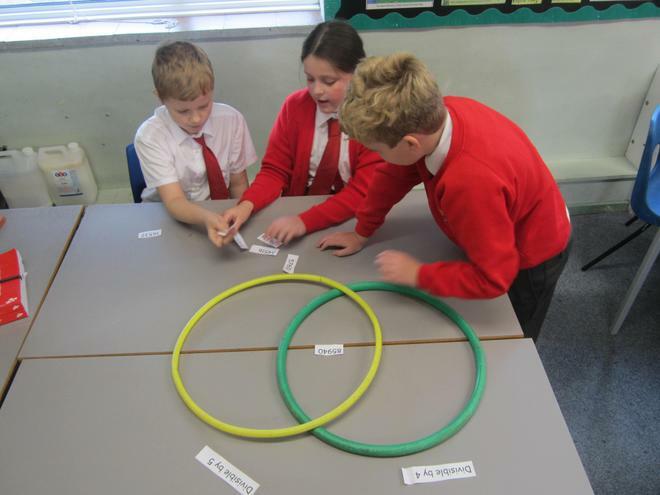 This week, the children have been looking at multiples and factors. They have discovered exciting patterns in our number system. Next week we will be multiplying by multiples of 10, 100 and 1000. 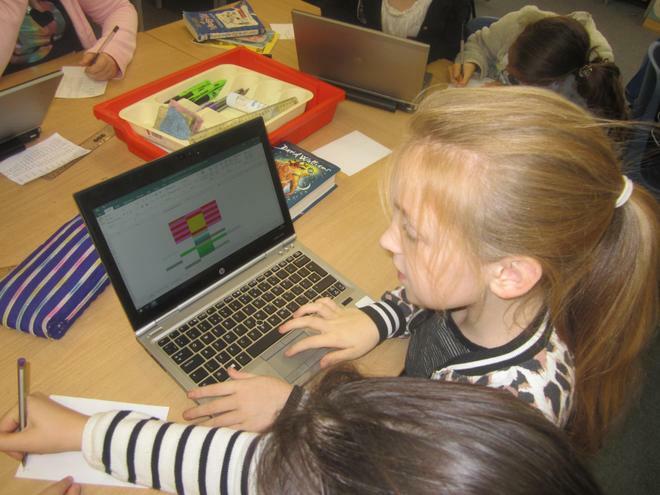 It is really important that the children are confident in their times tables for the activities that we will be doing, so please keep practicing at home. 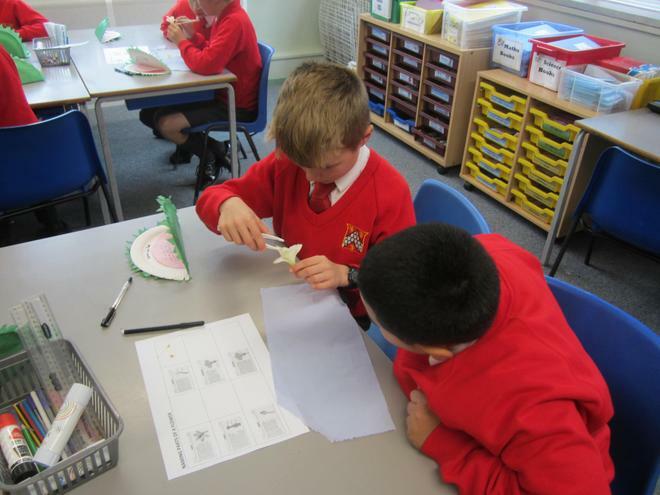 This week in science, the children were looking at the life cycles of different mammals. Next week in science, the children will be looking at eggs! 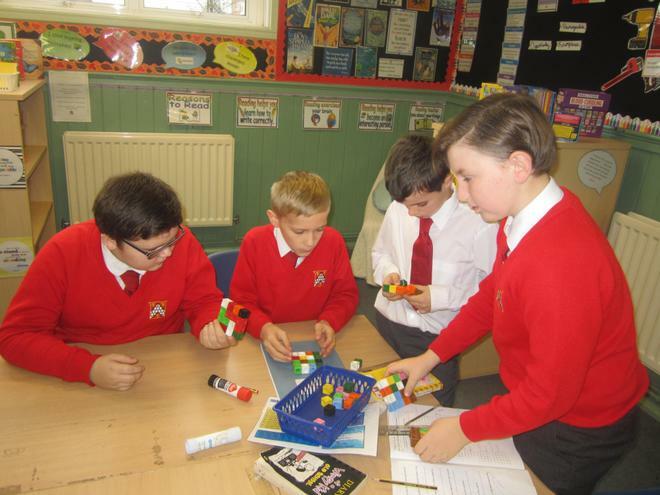 Wednesday 21st November, 9.00 – Open morning in Year 5 – please come along to see all the fantastic work that your child has been doing. 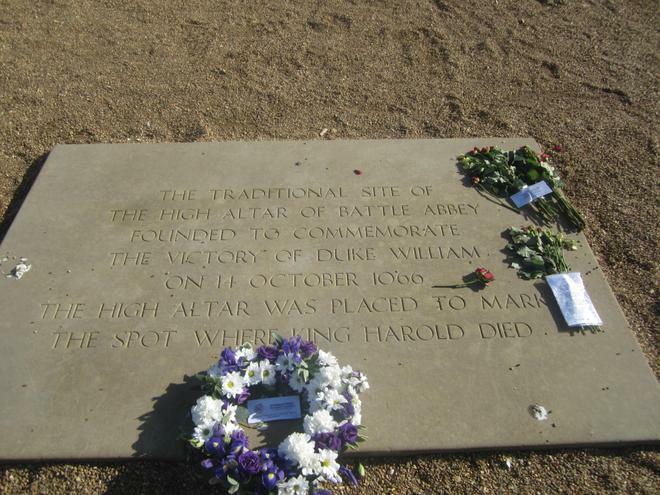 Saturday 24th November, 9.30am – planting day. 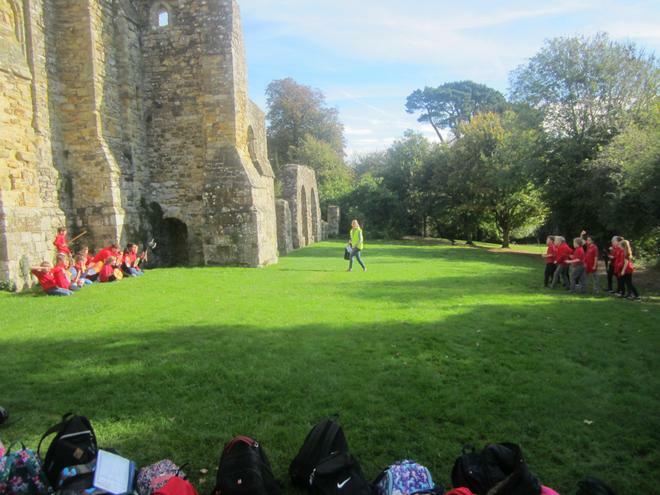 Please visit our class page on the website to see some photos from this week. 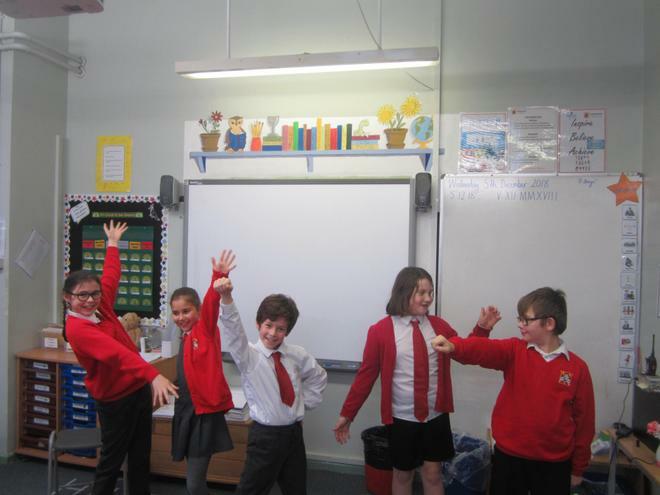 As the temperatures are dropping here, we have been learning about the climate in South America. This ranges from the driest desert on earth (the Atacama Desert) to the glaciers in the South of Argentina and Chile. We discussed how world temperatures vary greatly, depending on which climate zone a country is in. At home, please talk to your child about other countries and show them where they are on a map particularly in relation to us and South America. 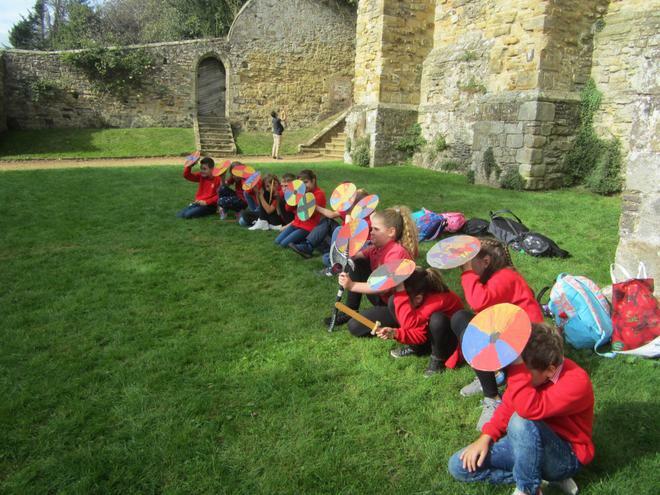 In English this week, we have been looking a short video clip called ‘Ride of Passage’. It is based on a mission that a young tribal boy has been sent on into the rainforest. I am sure that the children will be able to tell you all about it! The children have done some detailed writing from watching this video. Please keep encouraging your children to identify powerful descriptive vocabulary whilst they are reading. 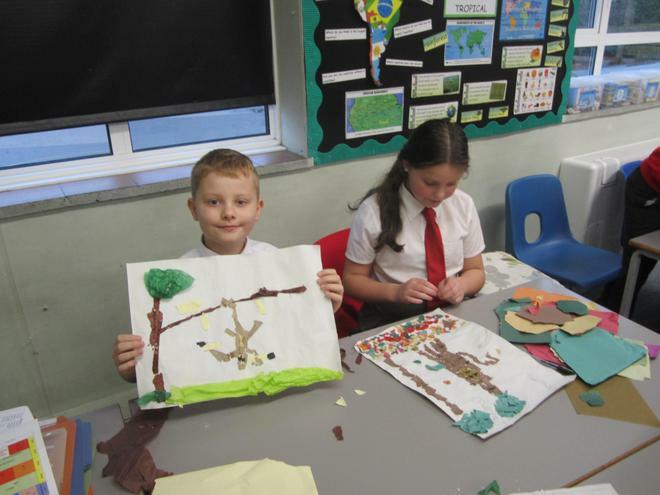 We have made the children aware of books that they can be reading which are based on the Amazon Rainforest. Following our discoveries in learning journey, this week in maths we have been using a line graph to plot and compare temperatures in Brazil with temperature back here. 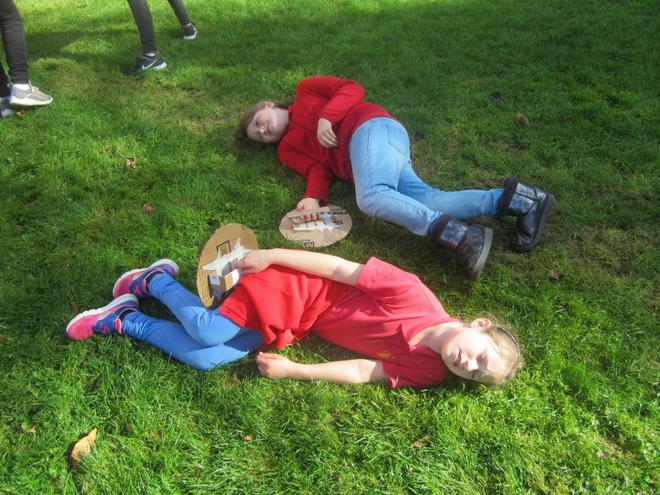 In addition, the children really enjoyed investigating their pulse rate whilst taking part in the daily mile. They took their pulse rate at different intervals and then plotted these on a line graph in order to compare them. 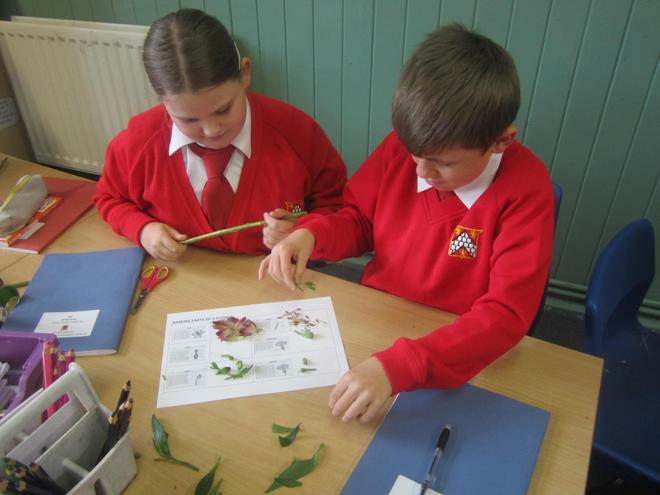 This week in science, the children have been learning about non-flowering plants like: pine trees, fern, moss and Cyprus trees. 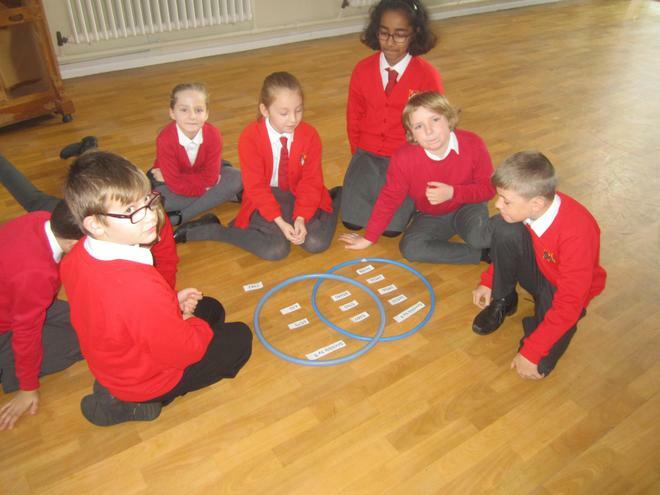 Next week, the children will be looking at the lifecycle of mammals. Saturday 24th November – planting day. 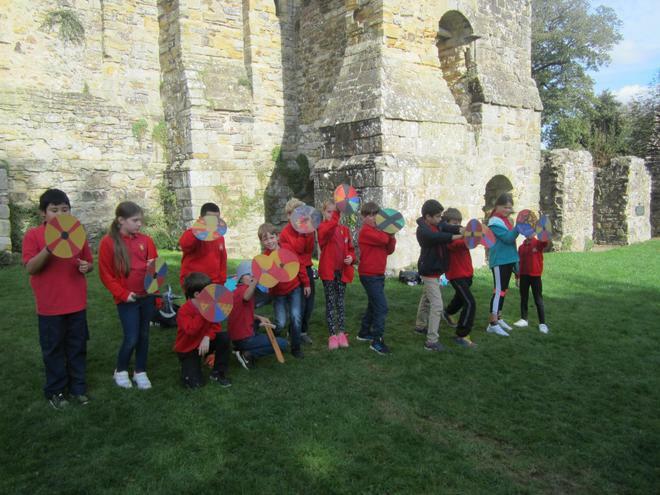 Our new Learning Journey topic – ‘Let’s Fly, South America’ - launched with a stunning start. 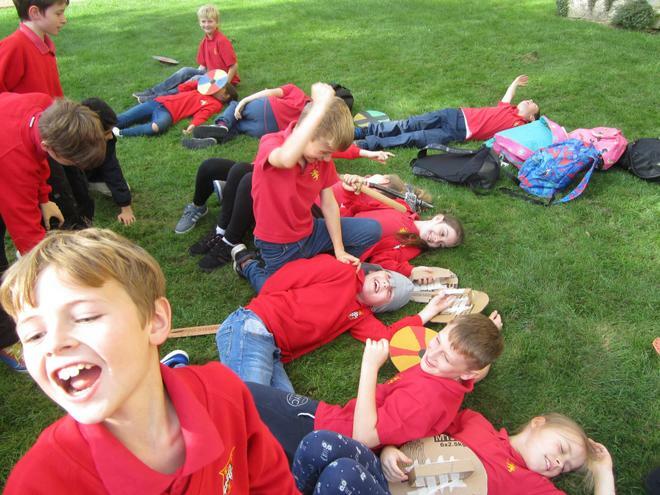 The children enjoyed discussing the flight to South America, where they got to sample some South American in-flight snacks and musical entertainment. 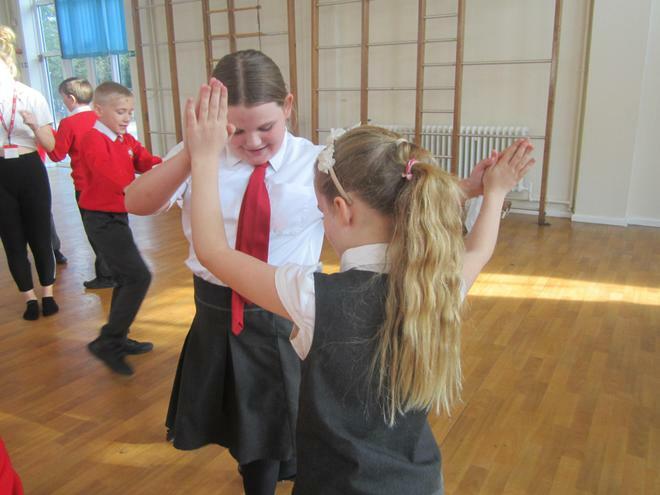 The children learnt about the different countries within South America and some of the World’s oceans that they would fly over to get there. 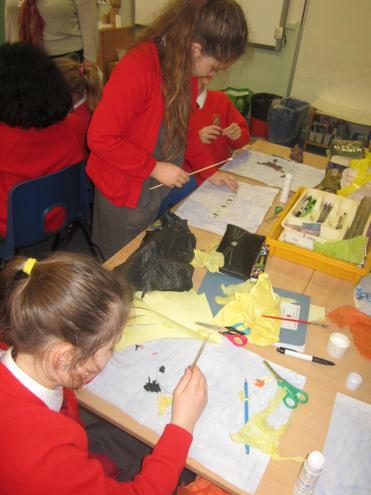 Once we ‘landed’ we delved deeper into the rainforest and learnt about different species there. 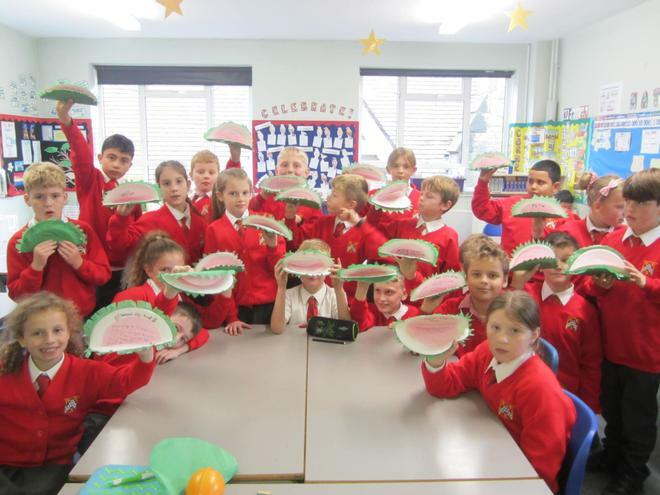 The children were very excited to learn about carnivorous plants and created their own venus flytrap. Please encourage your children to carry out research at home about South America. They could do this using the internet or by visiting the library. Linked to our Learning Journey, this week the children have been looking at a text called ‘Vanishing Rainforests’ by Richard Platt. We discussed what impact deforestation has on tribes and species that live within this habitat. Next week we will be looking at climates in South American countries. 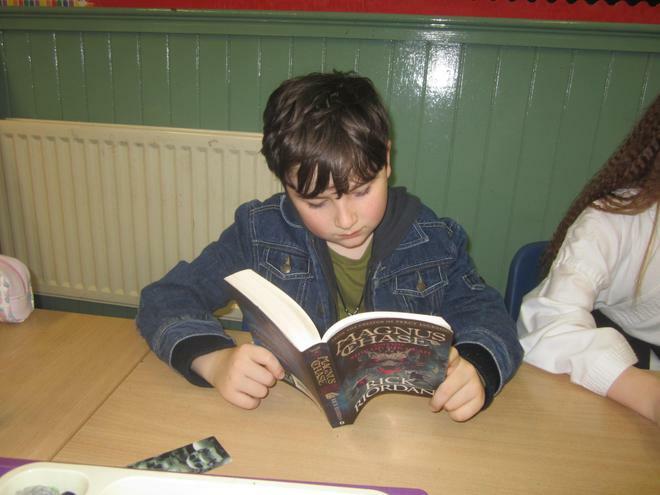 Please keep encouraging your child to write down powerful descriptive vocabulary that they find whilst they are reading. We will display these words in the classroom so that the children can use them to enrich their writing. 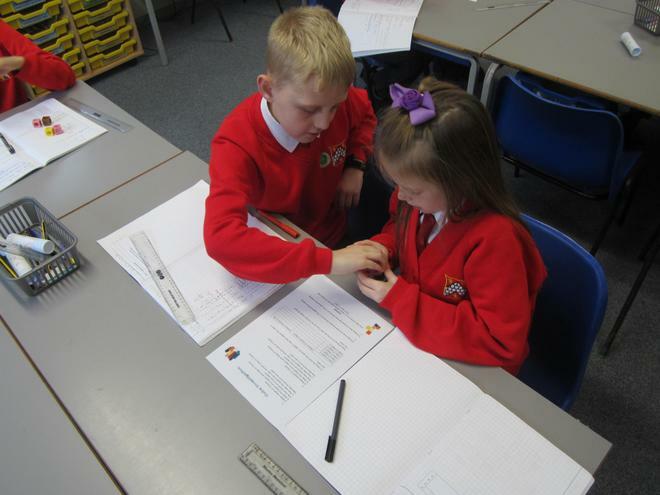 This week we have been looking at presenting data in tally charts and interpreting data that is in a table. The children even helped to plan my journey to London at the weekend using a train timetable. In order to support their learning, please show children bus and train timetables and let them help to plan and work out journey times. Next week, the children will be presenting data on a line graph. This will be linked to our South American climate work. 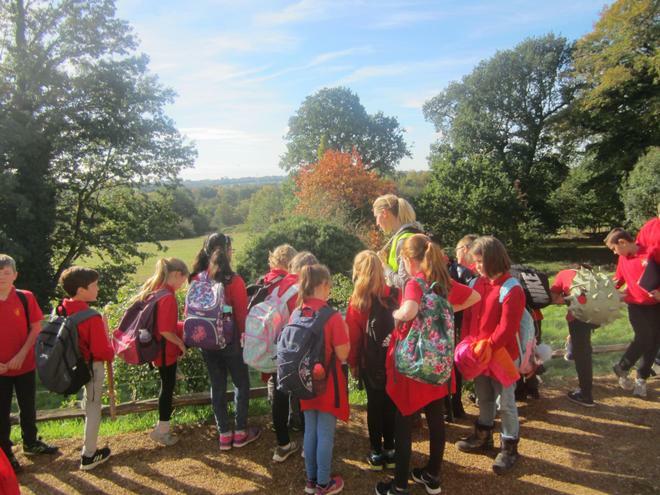 The children will use a line graph to compare the climate in Rio de Janeiro with the climate in London. 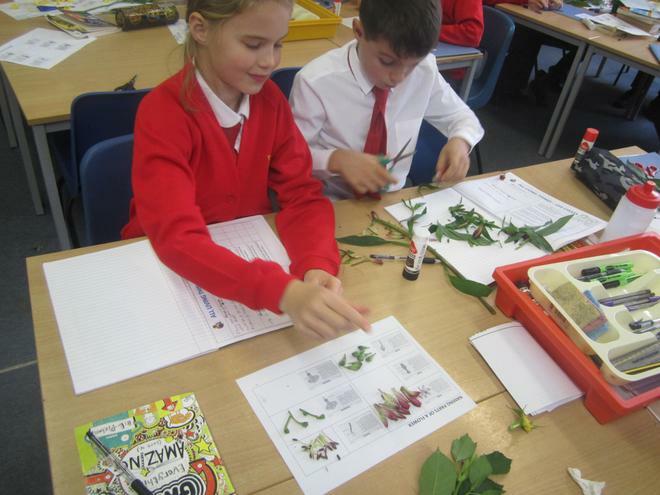 Moving on from observing carnivorous plants during out Learning Journey, we dissected British plants during our science lesson this week. 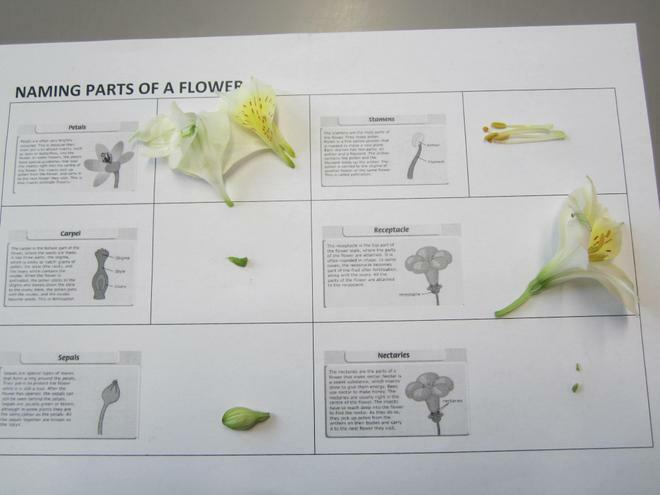 We were able to name the different parts of the plant and discuss the flowering life cycle. 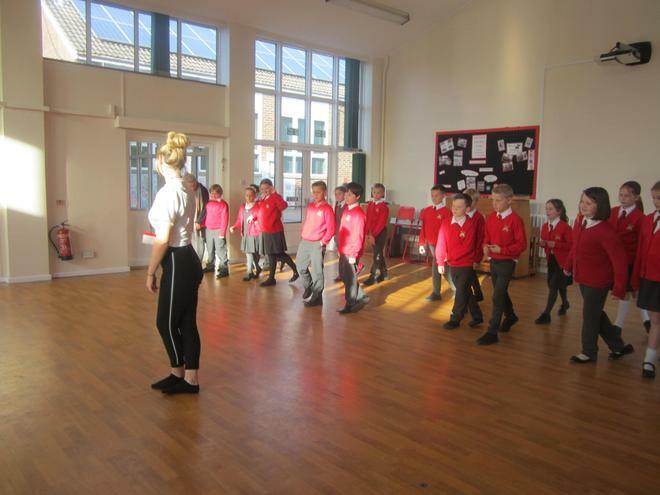 We have been very lucky in Year 5 because a trained dancer is coming in on a Wednesday afternoon to teach the children samba. 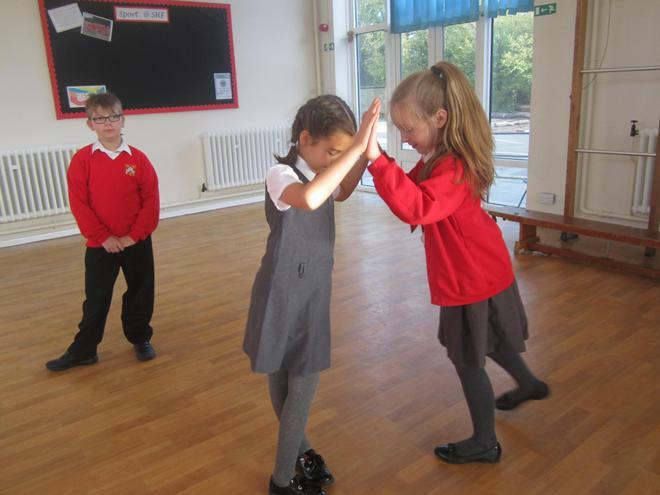 The children really enjoyed learning some new moves this week and we look forward to seeing how the children progress with this. 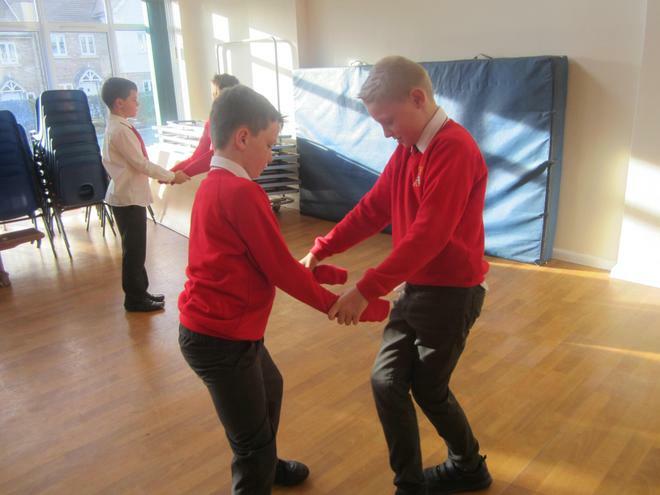 We definitely saw some evidence of ‘Strictly come dancing’ talent this week! 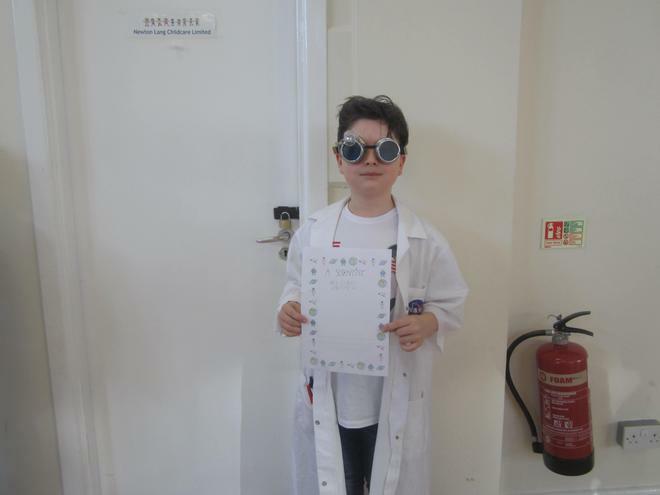 *Well done to Charlie Chick in 5EG who received the certificate this week for showing determination during his swimming gala trail. *Well done to Luca Picco in 5S who received the certificate this week for his outstanding contribution to sports. 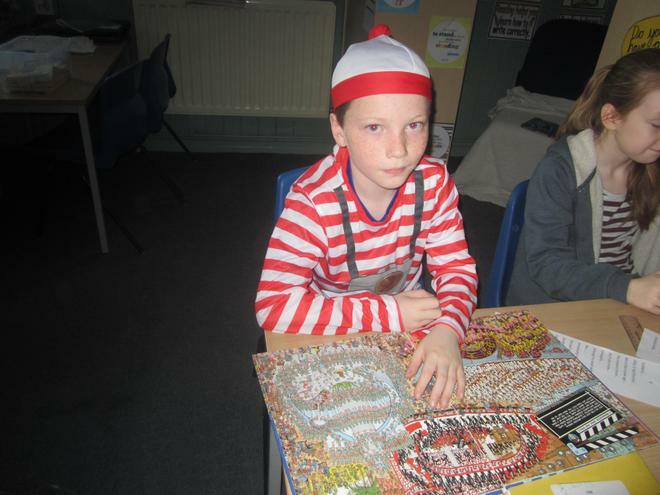 We have certainly had a busy week this week in Year 5! 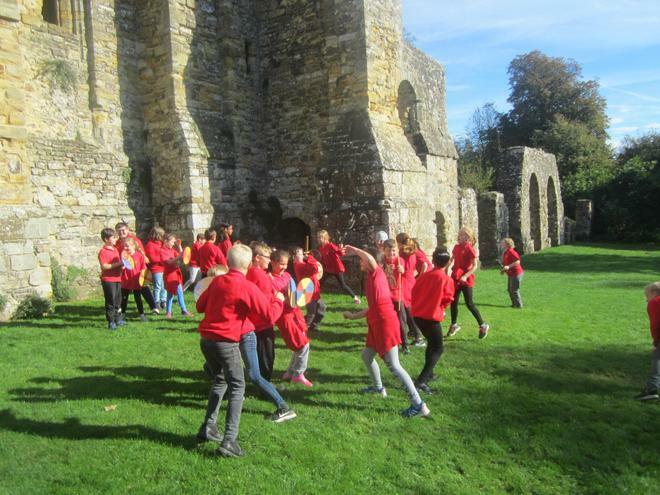 We had a fabulous trip to Battle Abbey – thank you to all the parents who came on the trip to help us. 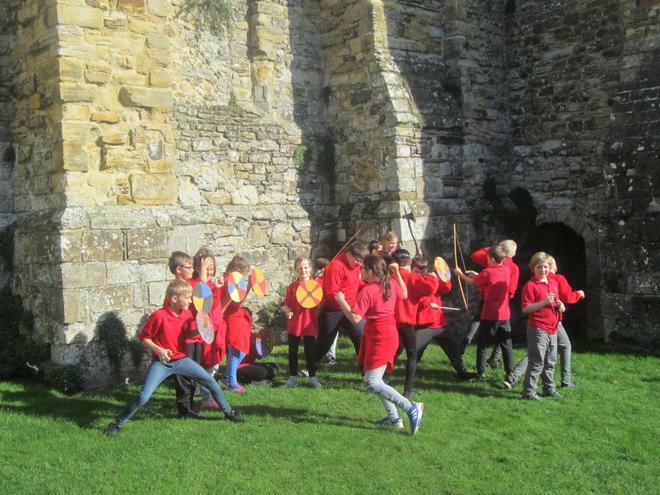 We have put some photos on our class page on the website so please do have a look at these. It has been lovely to meet you at parents’ evening and discuss how your child is settling in to Year 5. 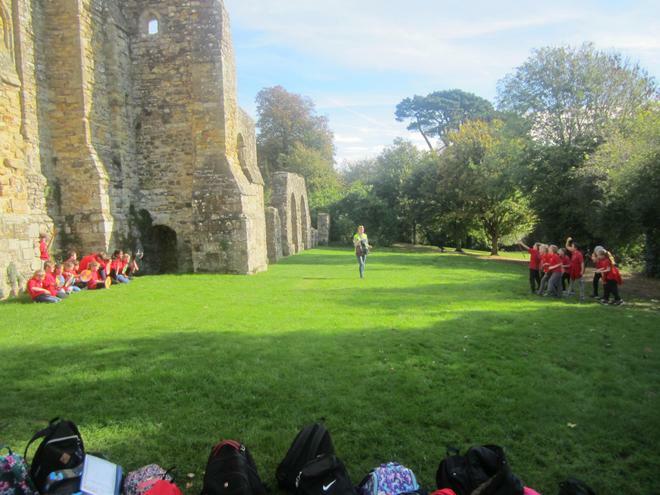 This week we finished off our learning journey with the monumental ‘Fight for England’. During our trip, the children really enjoyed re-enacting the fight on part of the land where the actual battle took place. 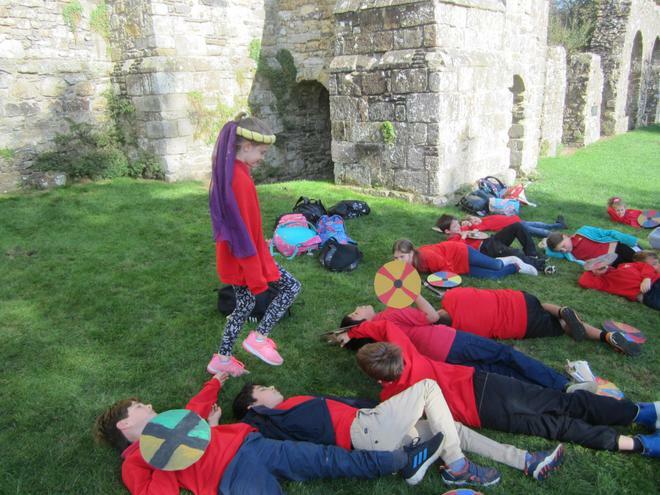 Once we were back at school, the children wrote about the battle and how the English throne was lost to the French. 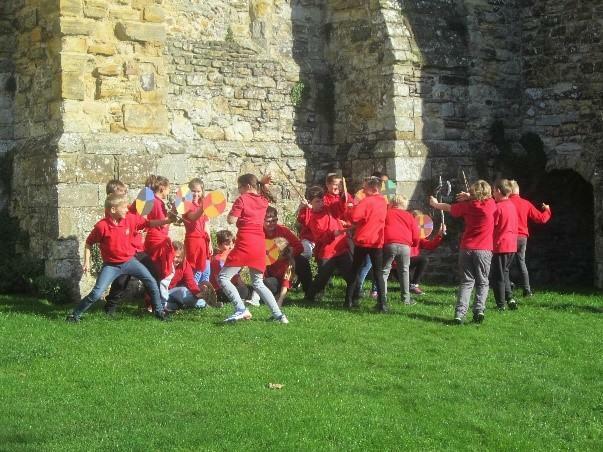 In addition, we looked at the Bayeux Tapestry and recreated scenes from the battle in the style of the Tapestry. This week, our English has been strongly linked to our learning journey in order to complete our historical understanding of that era. This week we started our new topic of statistics. 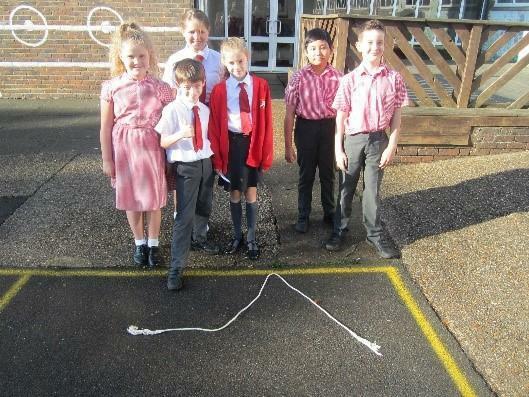 The children used line graphs to help them ‘tell and story’ and problem solve. 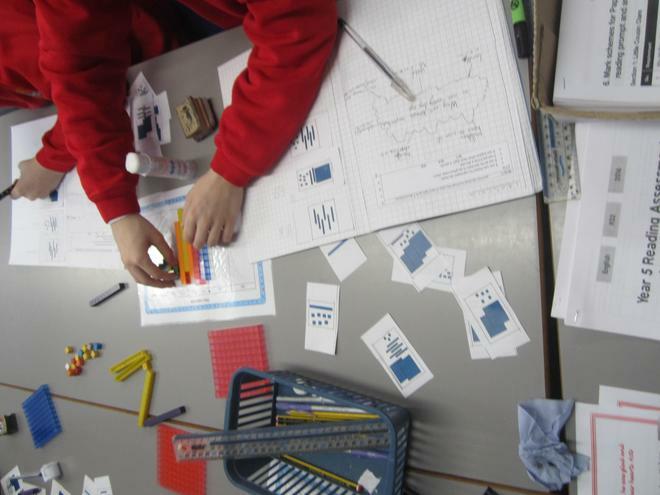 Next half-term, the children will move on to look at data presented in tables and timetables. If you catch a bus or train over half-term, please show your children the timetable and see if they can answer questions about it. We have sent home some arithmetic papers that the children have completed on a Friday. It would be helpful if you could go over some of these questions that your child found difficult. 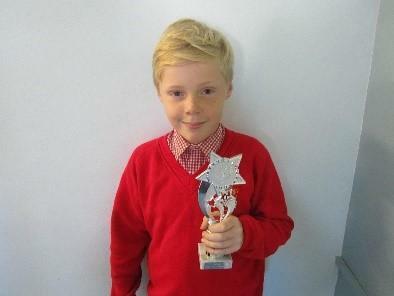 *Well done to Noah Boyles in 5S who was this week’s Privilege trophy winner. 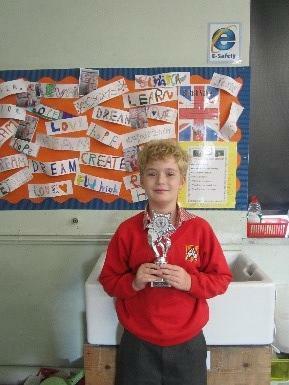 *Well done to Charlie Chick in 5EG who was this week’s Privilege trophy winner. 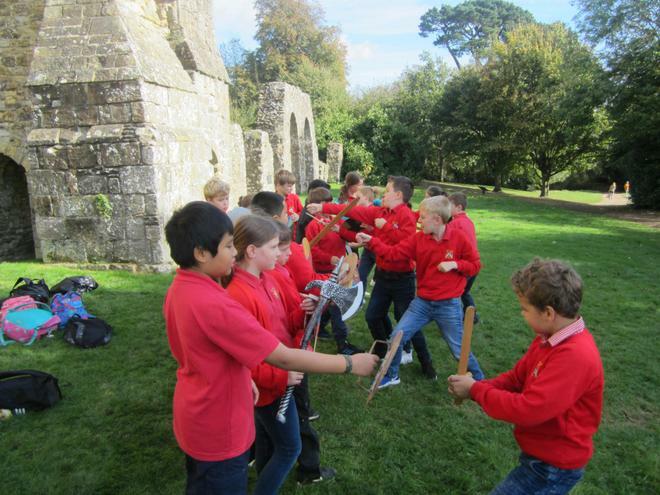 *Well done for the whole of 5S who received their certificate for mature behaviour during their battle re-enactment. *Well done to Callie and Callum Stoor who received their certificate for producing a creative PowerPoint on The Vikings at home. 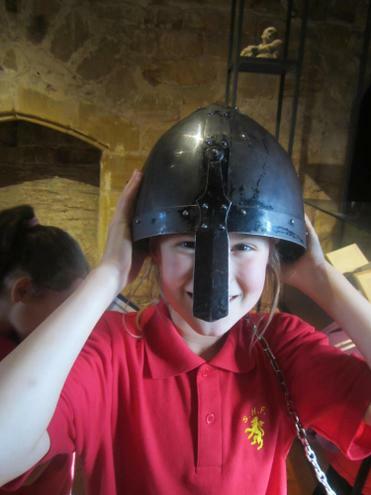 We hope you all have a brilliant half-term. 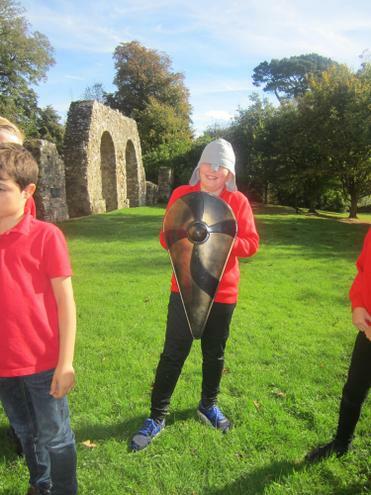 This week we have been learning about King Alfred the Great. The children did some research to discover fascinating facts about this amazing King. 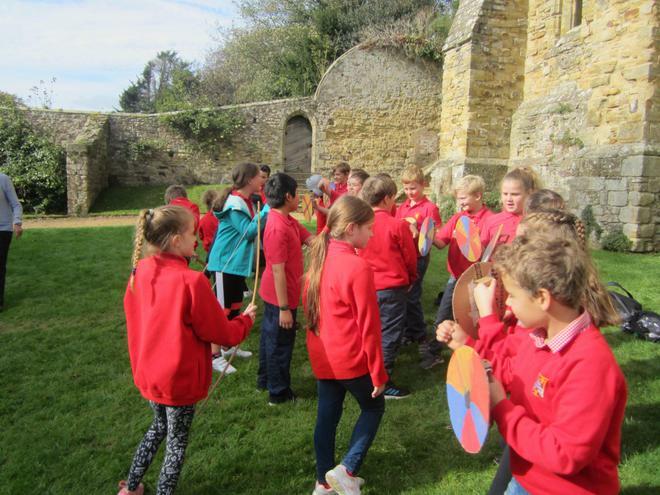 At the weekend you could use a range of resources, such as the library or the internet, to find out more about King Alfred and how he ruled the Anglo-Saxons. 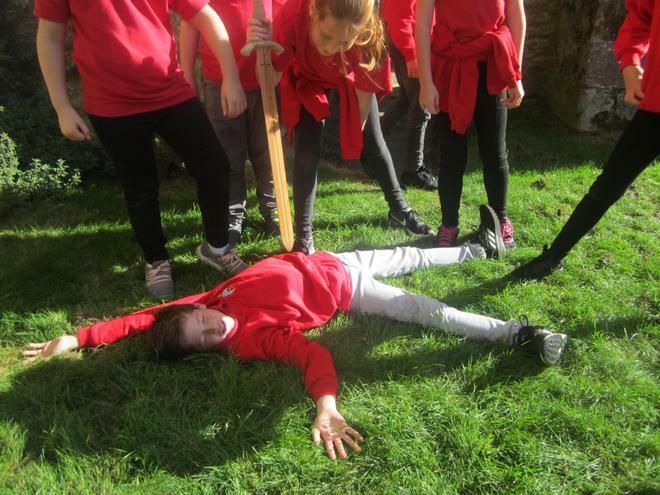 After some wonderful poem performances last week, we have been learning about Beowulf this week. 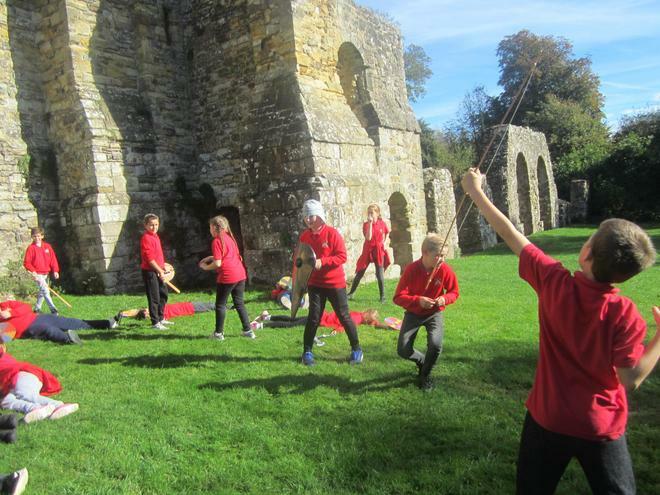 As a whole class, we have been reading Beowulf by Michael Morpurgo and looking at the powerful descriptive vocabulary that he uses. In addition, we have been learning about how to use fronted adverbials and commas to enhance our writing. Next week we will be doing story writing based on Beowulf. 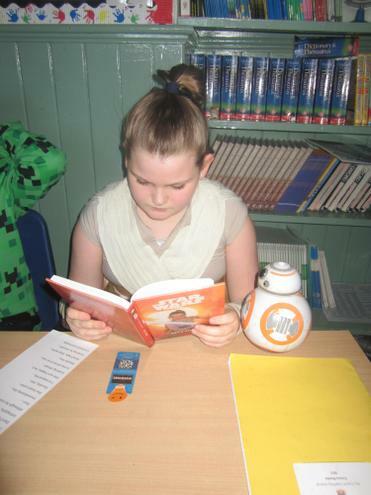 At home you could read your children a range of stories to support your child’s learning. Thank you to everyone who is signing the Reading Record Books on a daily basis. 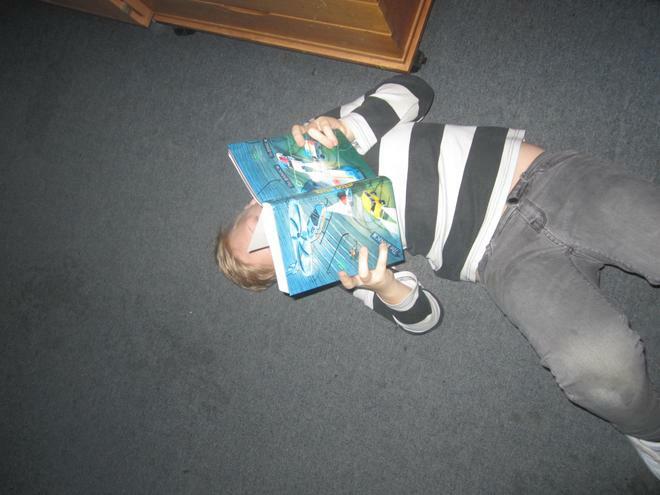 It is really important that your child reads every day. This week we have been learning about negative numbers and Roman numerals. Next week we will be learning how to use the formal written method for addition and subtraction. At home you could ensure that your children have a secure knowledge of their number bonds to 10, 20 and 100 to support your child’s learning. 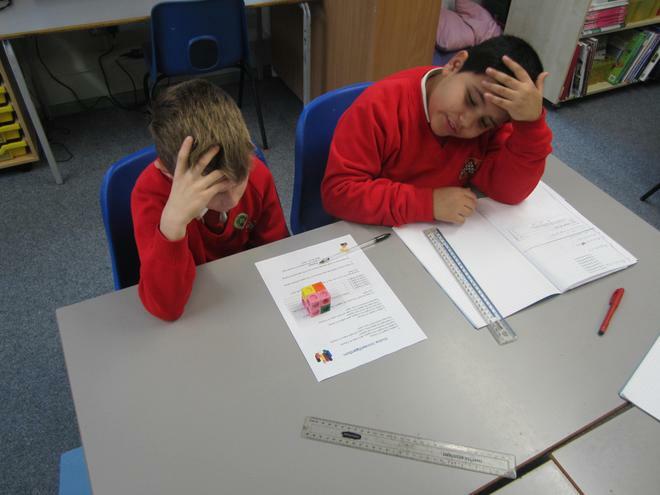 In addition, it is important that the children are learning their times tables. We have a weekly test which takes place on a Friday morning. 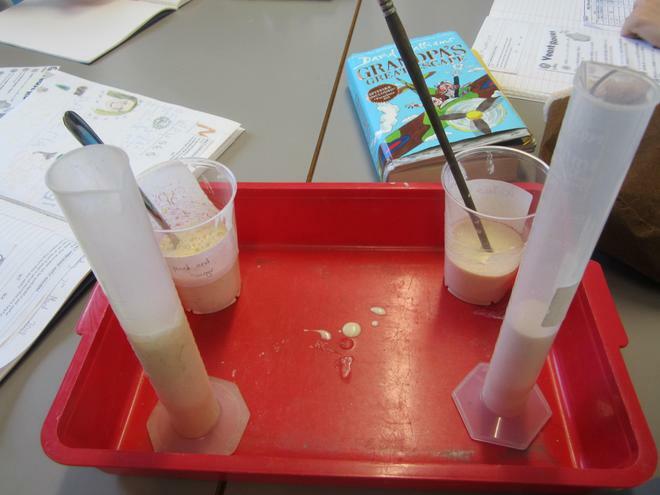 This week we have been learning about reversible and irreversible changes by carrying out filtering, sieving and evaporating experiments. 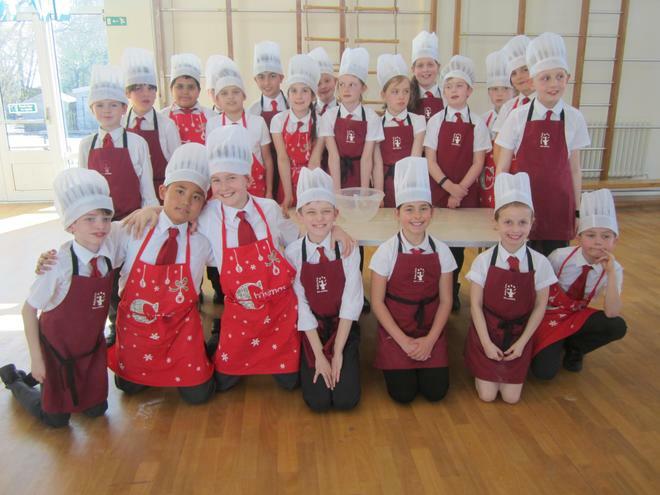 At home you could engage your children in cooking and discuss changes that occur and whether they are reversible or irreversible. Please ensure that your child brings to school with them a black pen that they are comfortable writing with and that does not smudge.